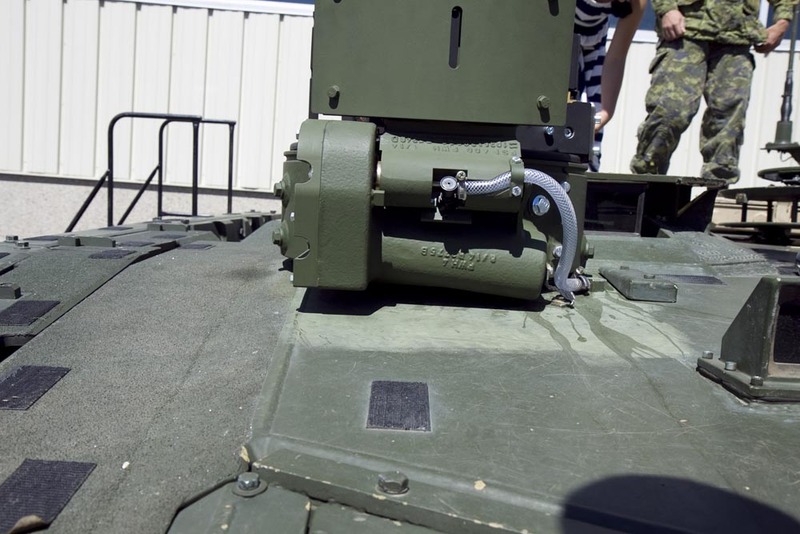 These photos were shot 2016/06/23 at the LdSH (RC) Regimental Change of Command Parade held at the Steele Barracks at CFB Edmonton. 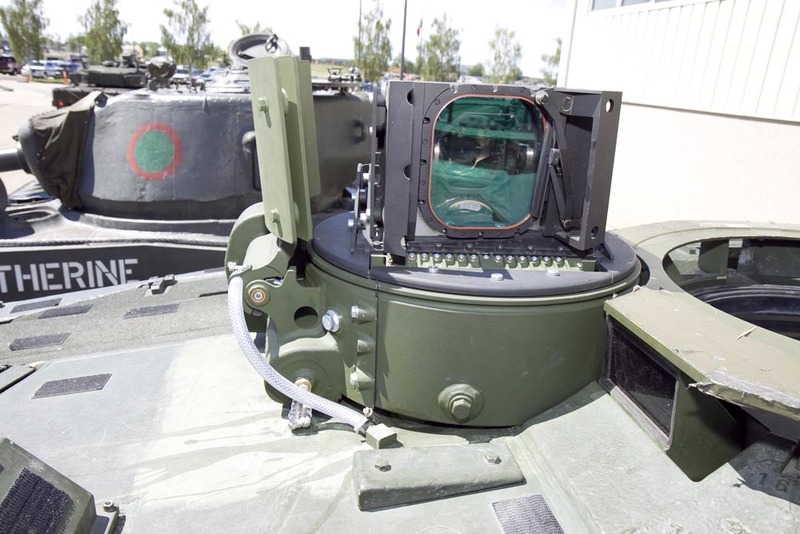 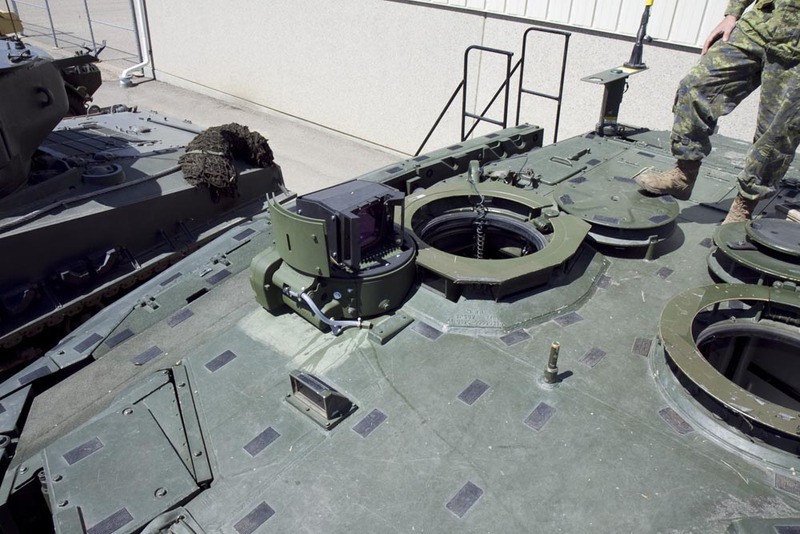 Starting in 2014, the PERI R17 Commander's Periscope was replaced with the new R17A4 on all operational Leopard 2A4M-CAN. 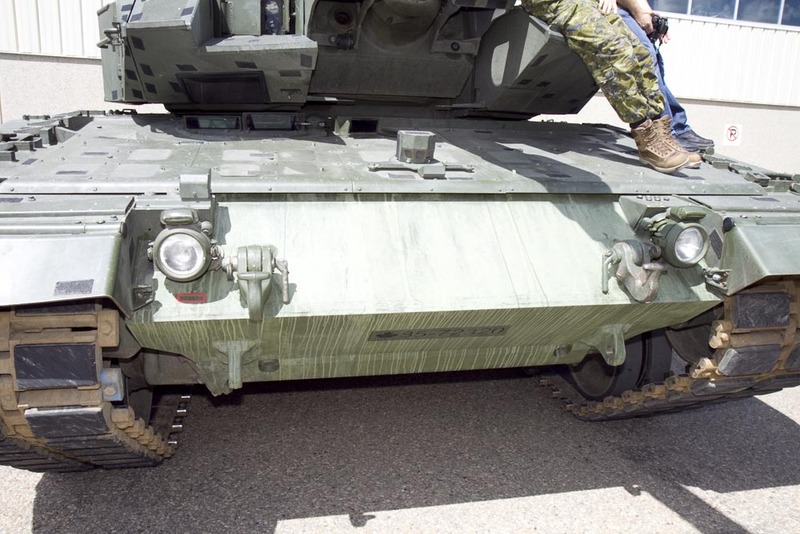 The upgrades would be performed piecemeal as vehicles rotated in for scheduled maintenance. 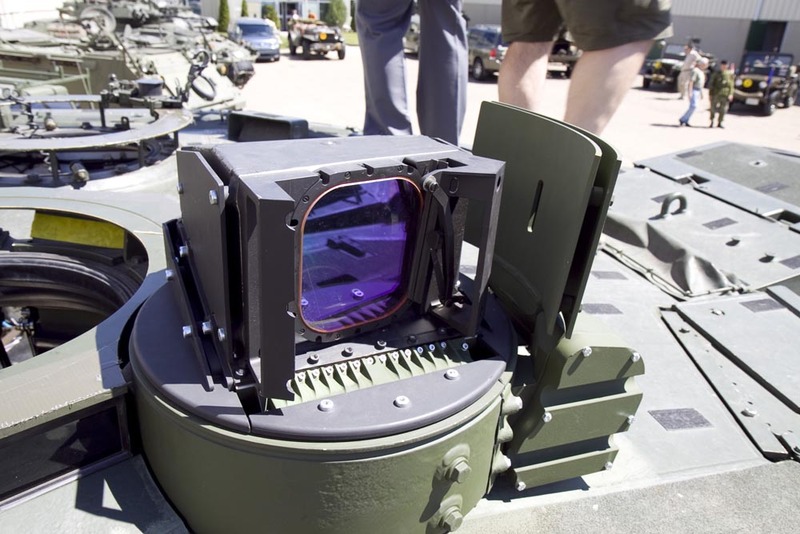 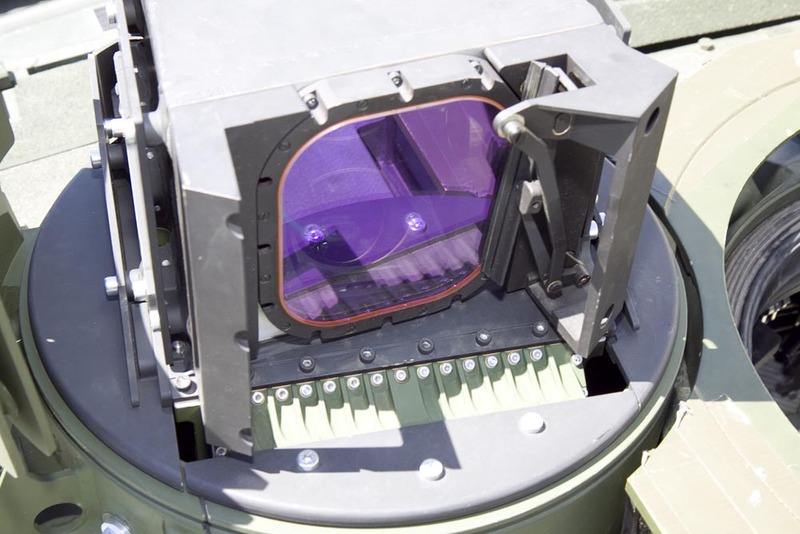 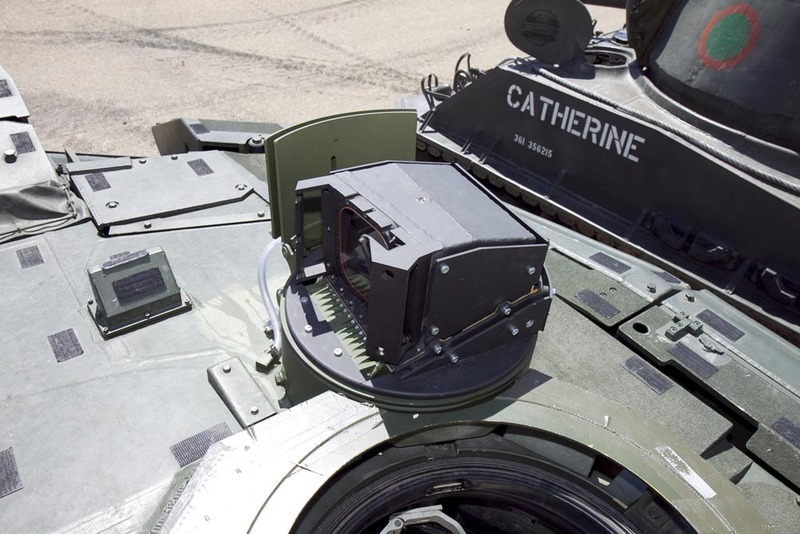 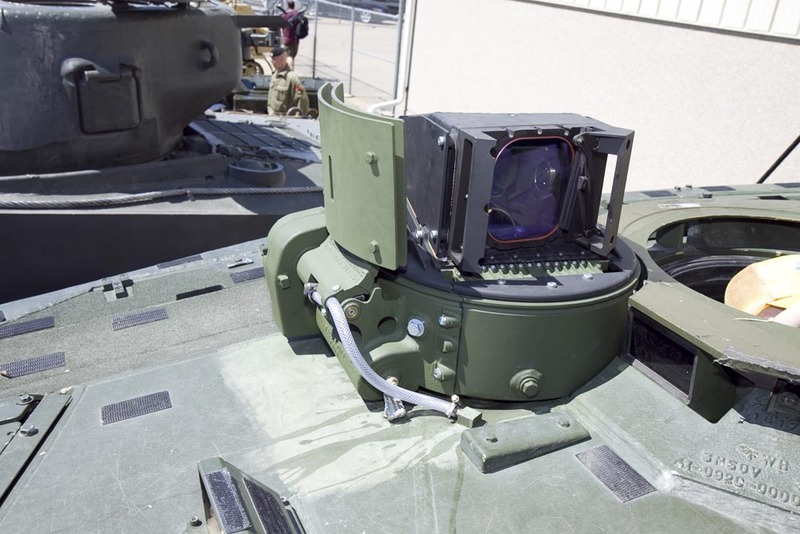 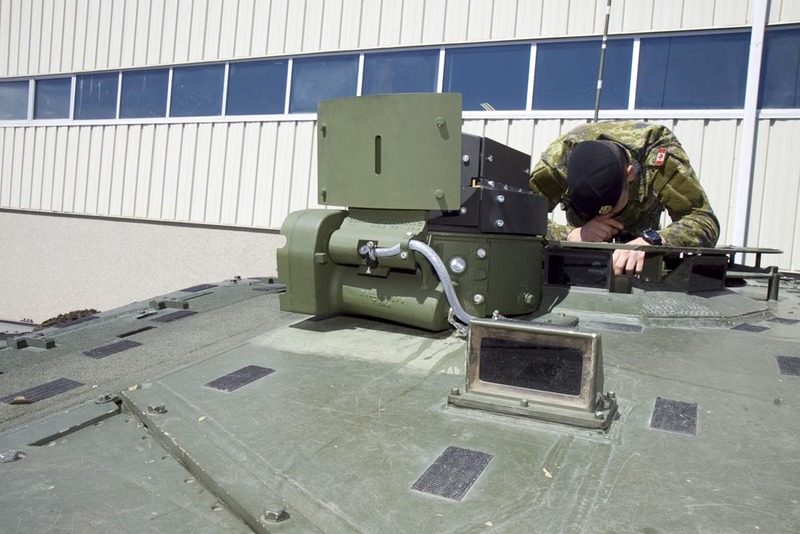 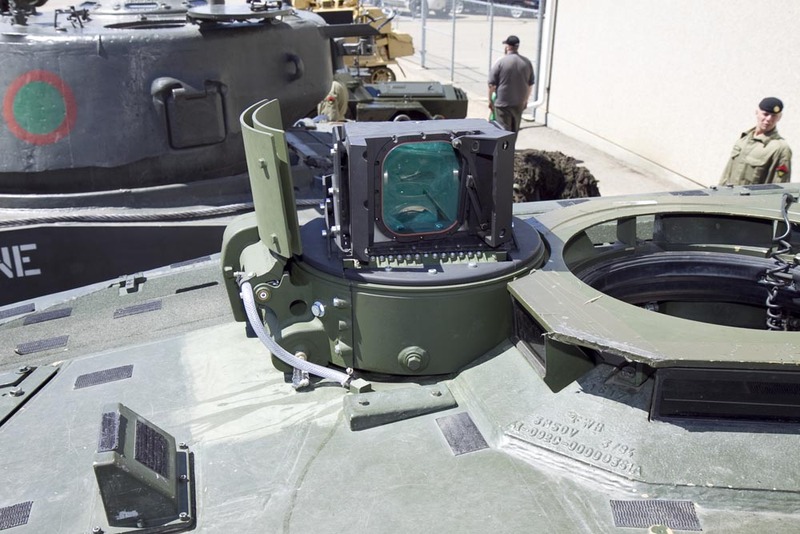 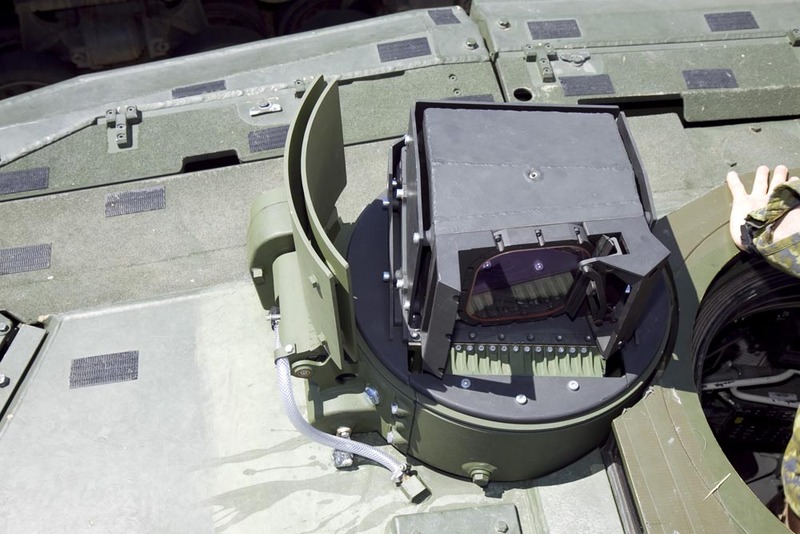 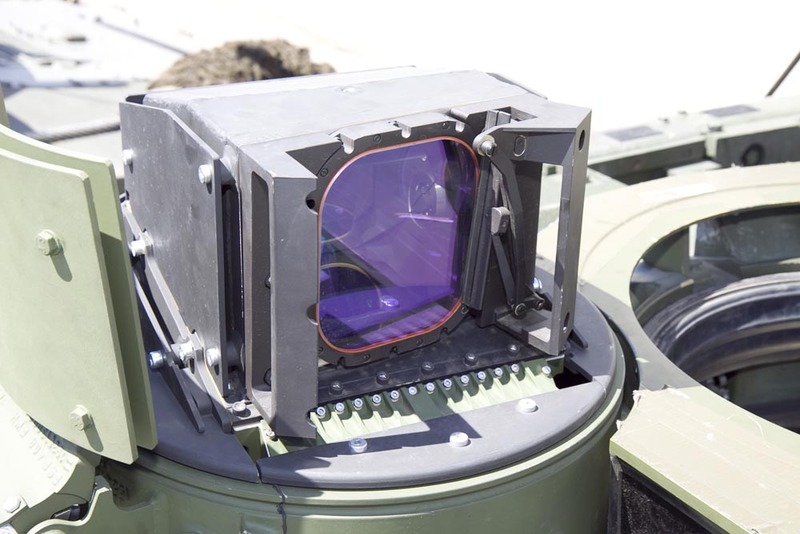 While the R17A4 is externally identical to the R17A2 (fitted to 2A5 and 2A6), it uses third generation ATTICA thermal imaging technology developed by Cassidian Optronics (a subsiduary of Airbus Defence and Space). 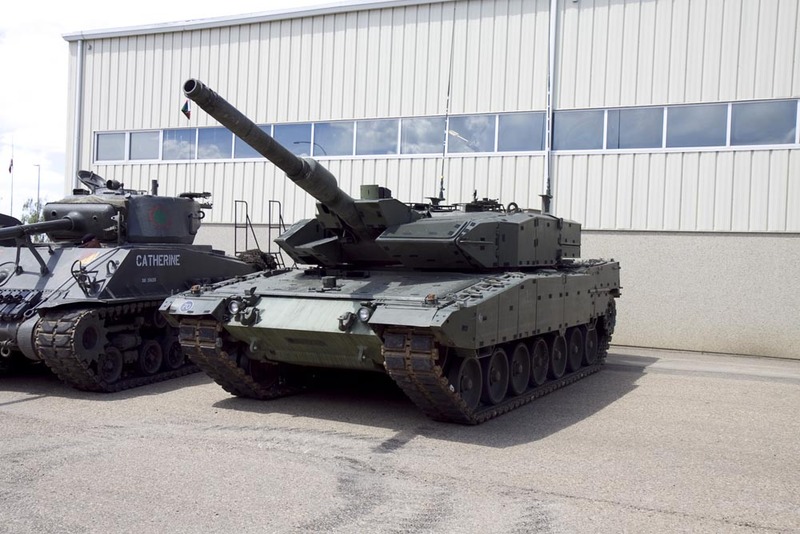 The R17A4 fitted to Canadian Leopards is identical to that in use on the Swiss Panzer 87. 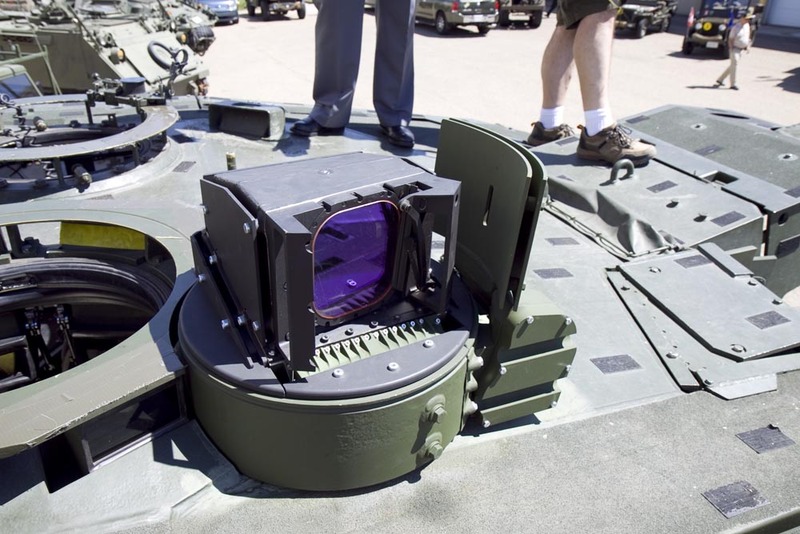 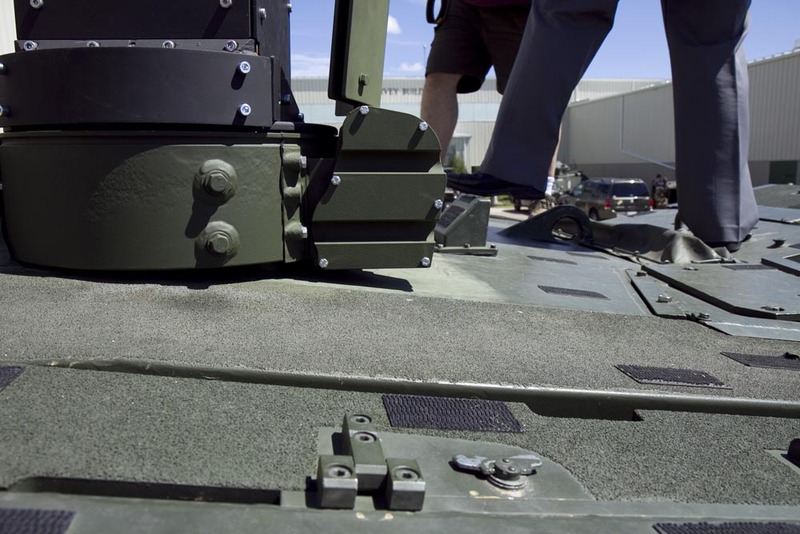 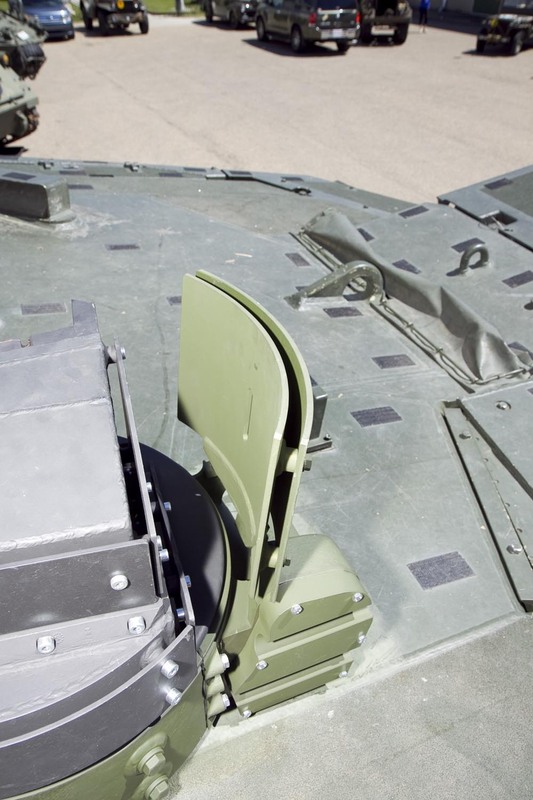 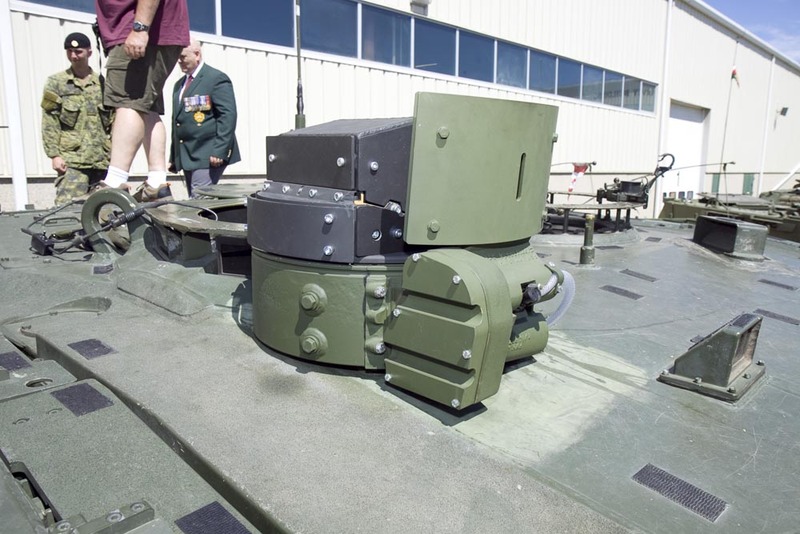 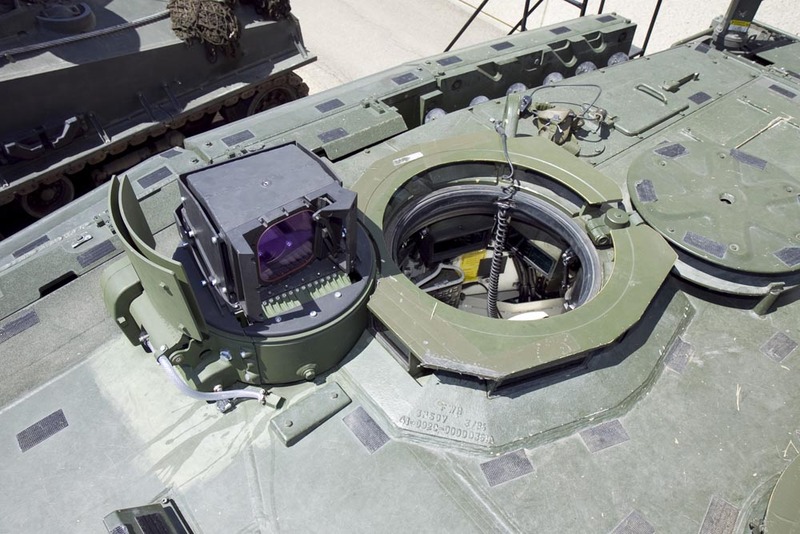 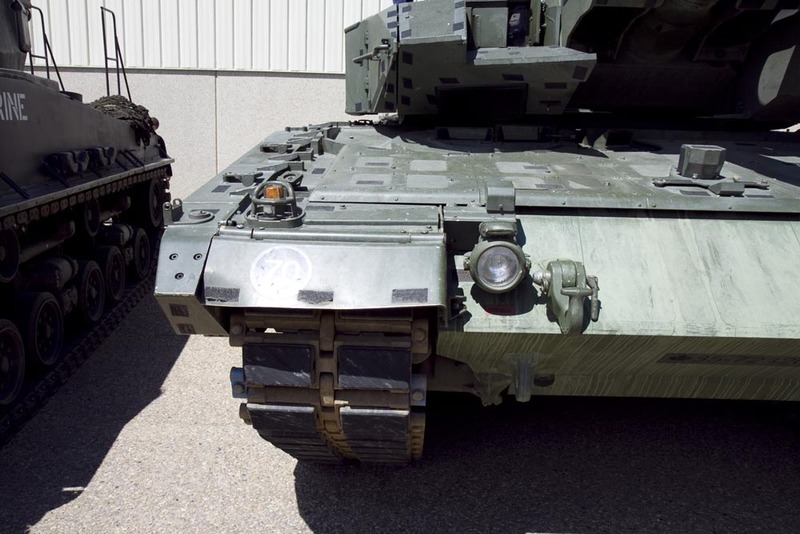 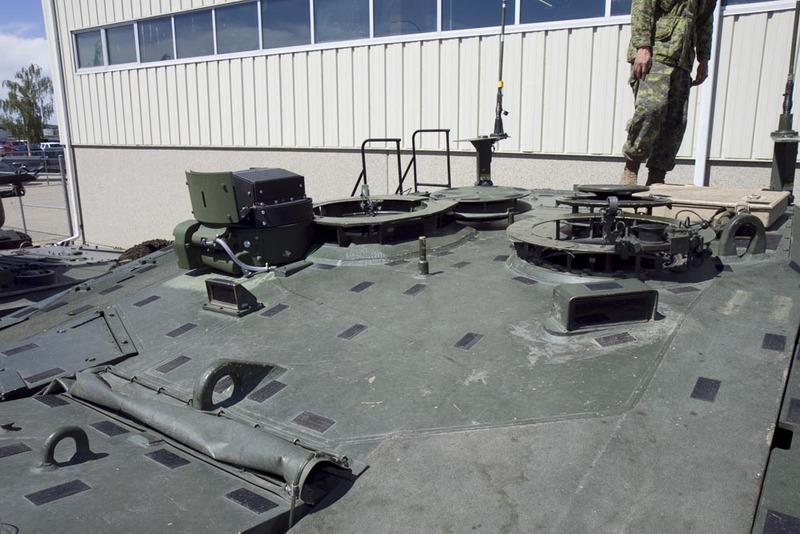 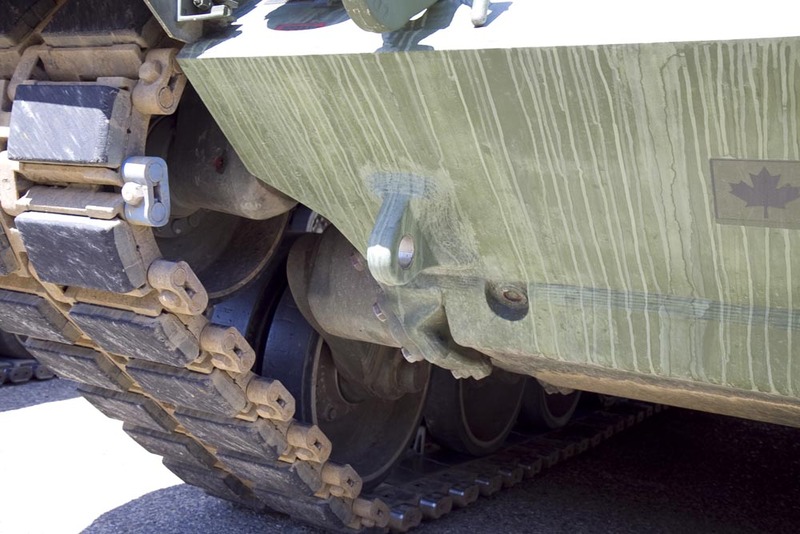 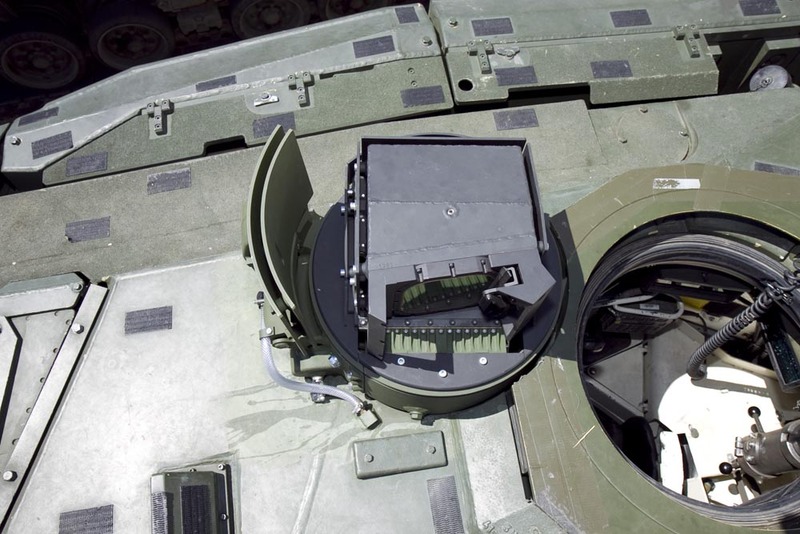 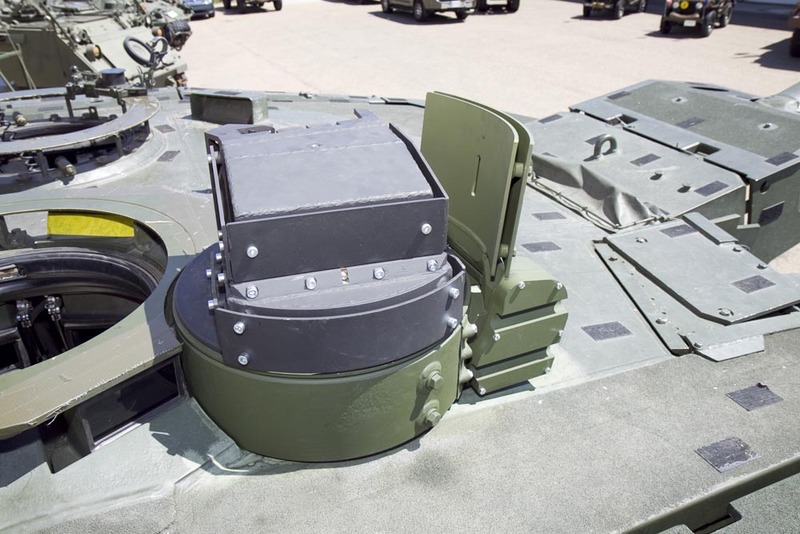 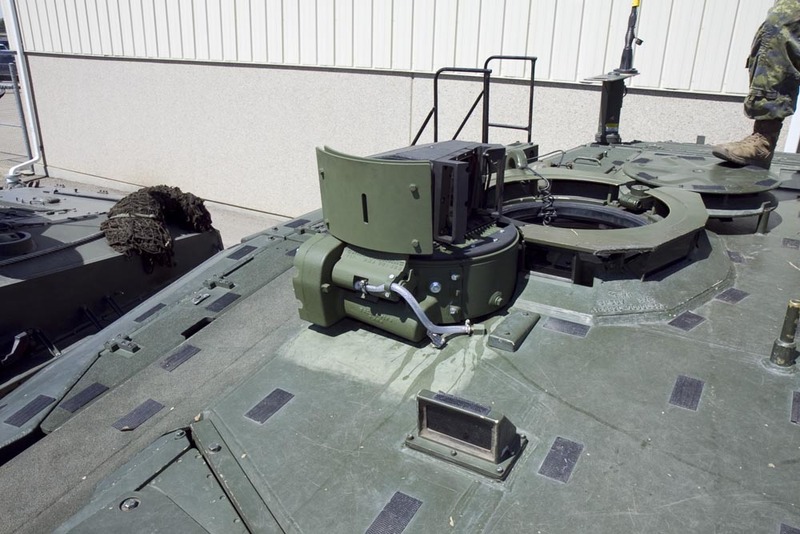 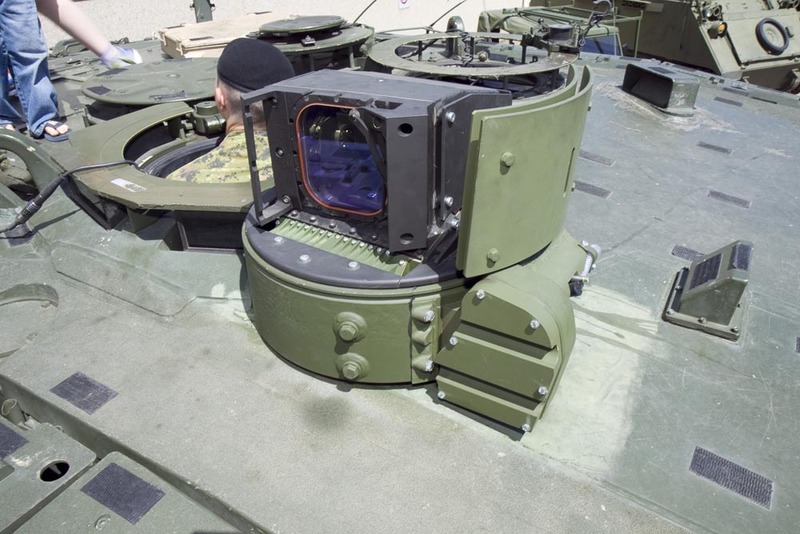 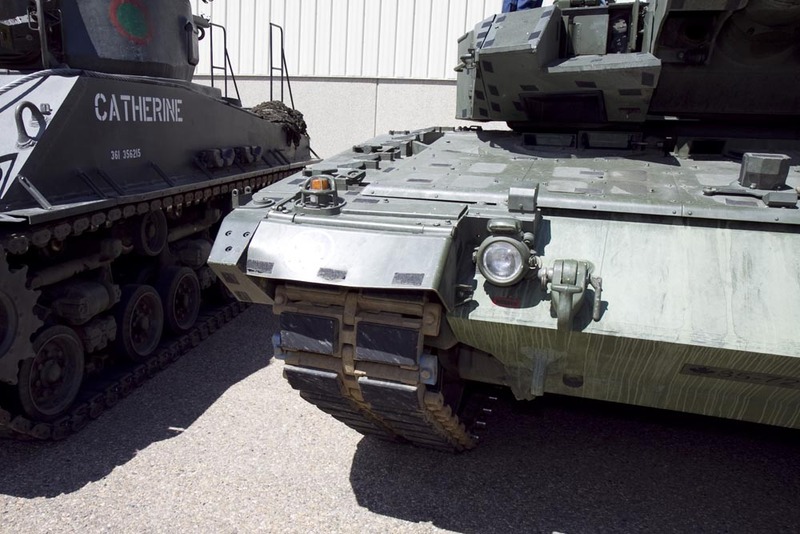 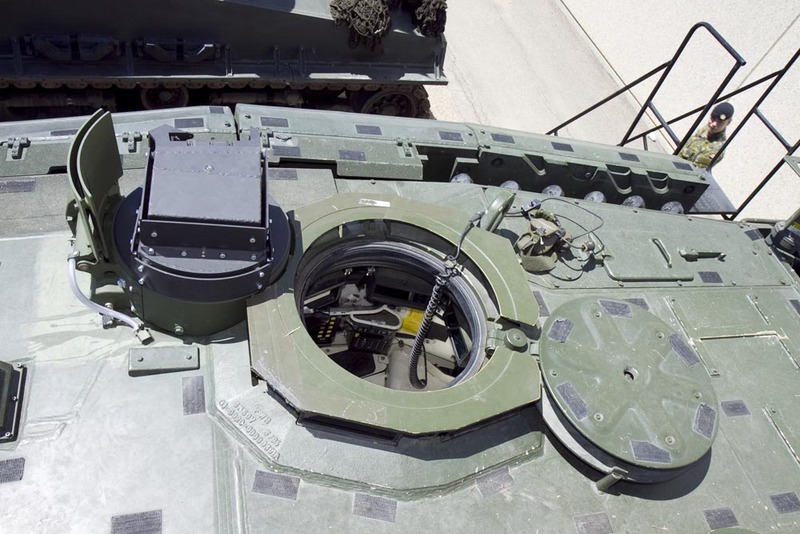 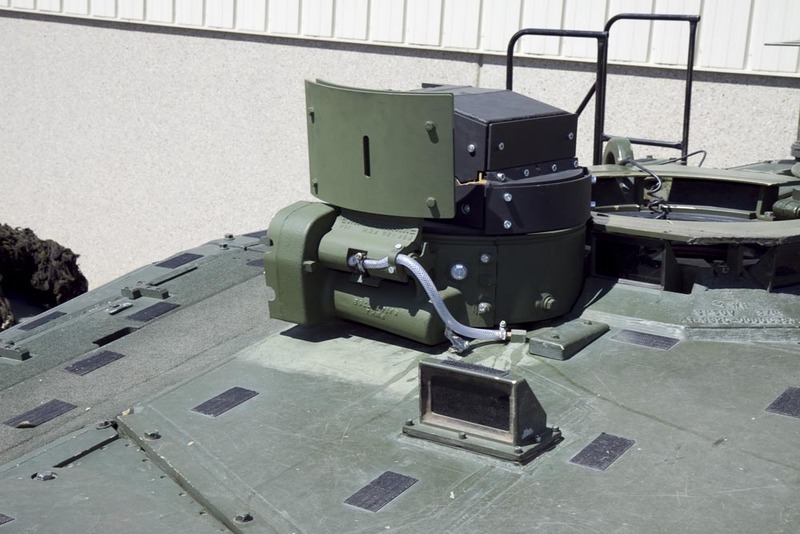 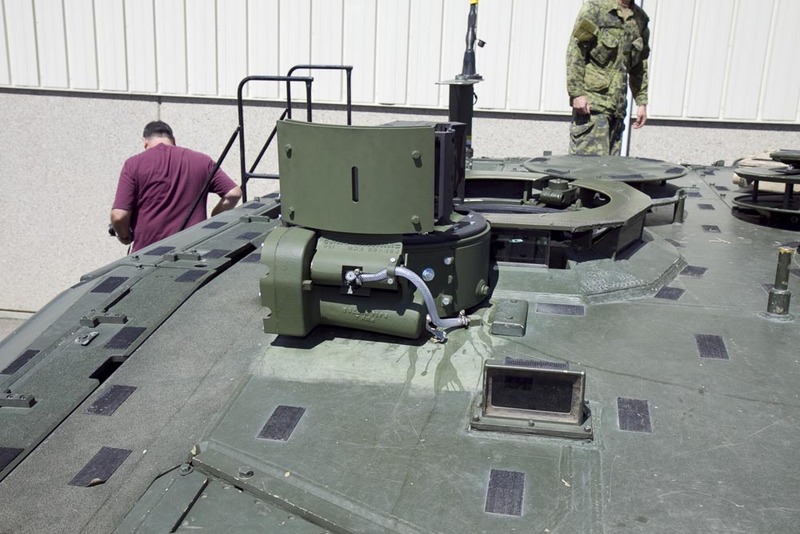 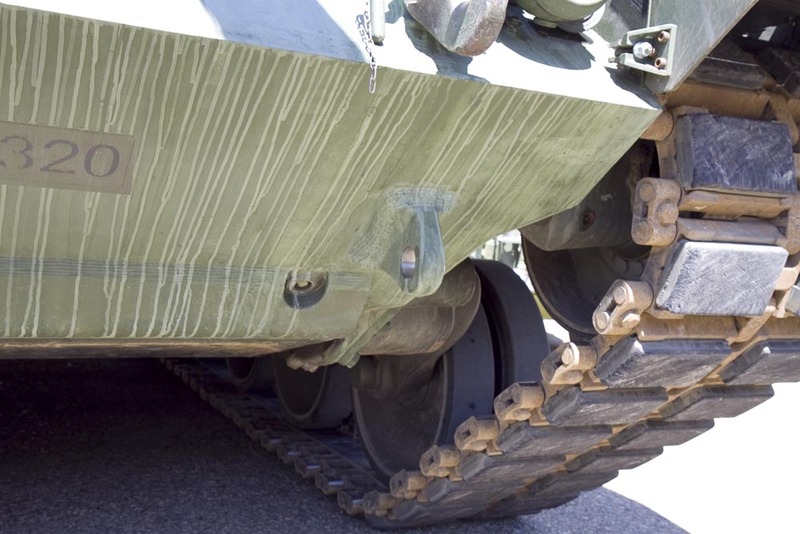 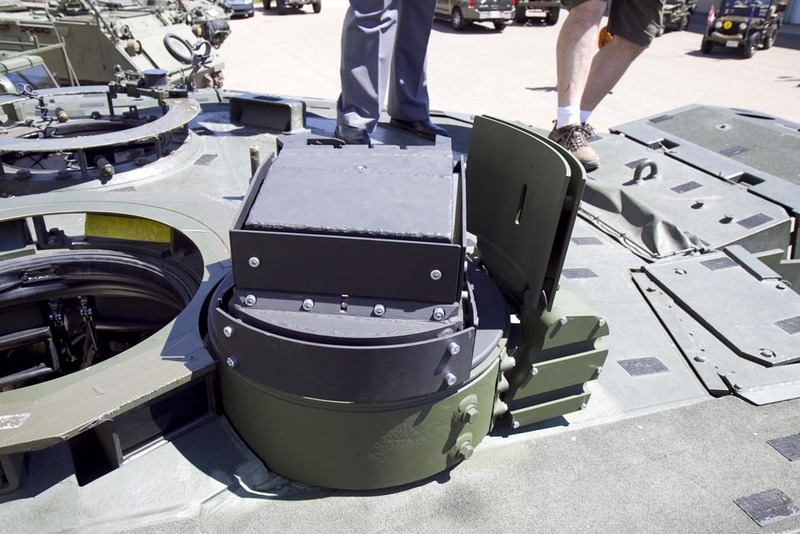 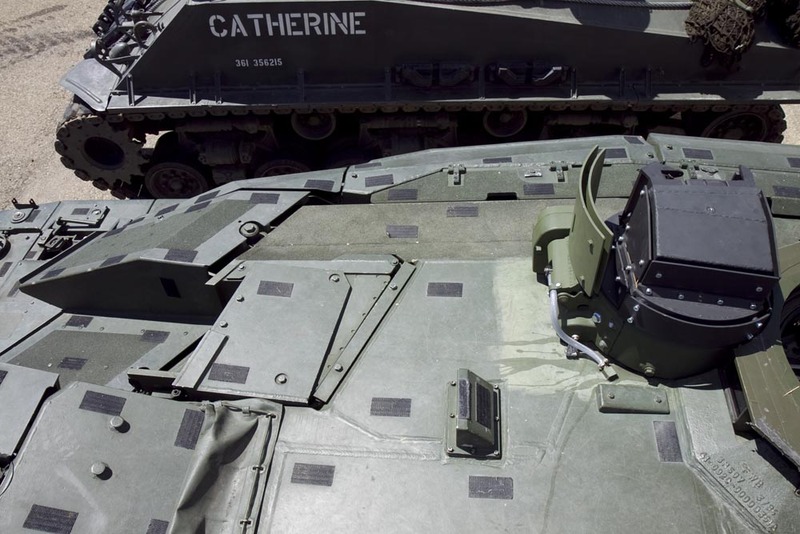 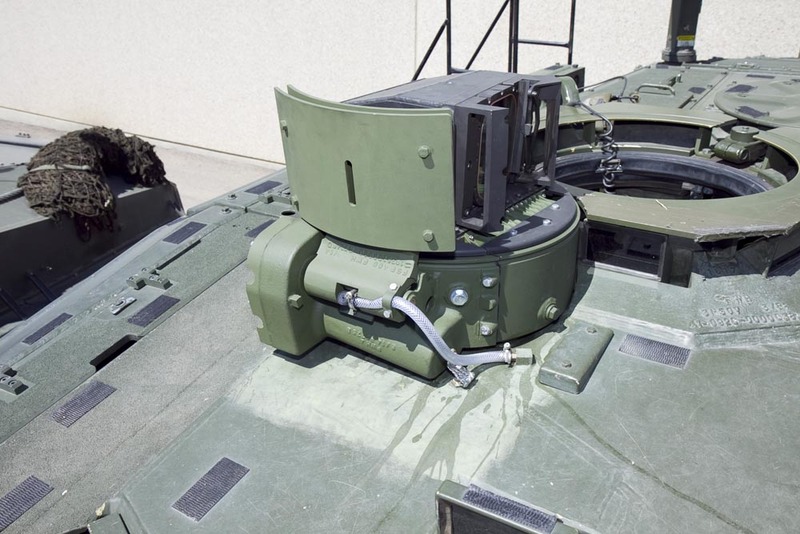 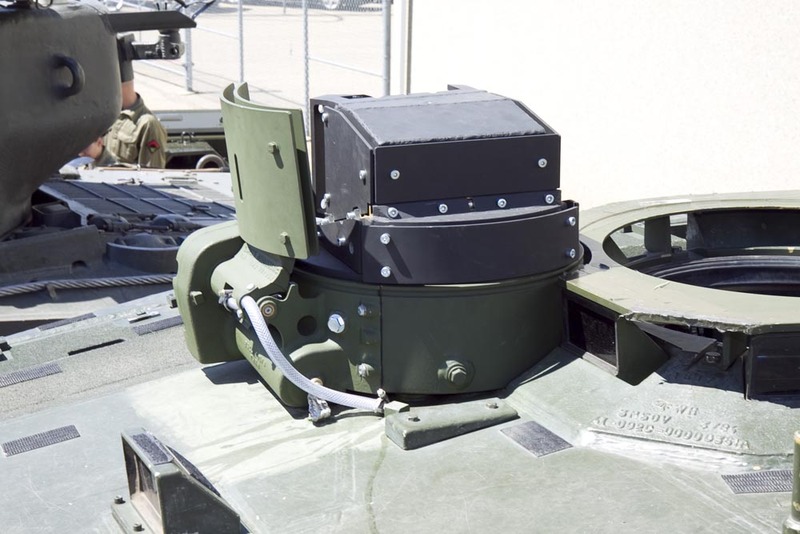 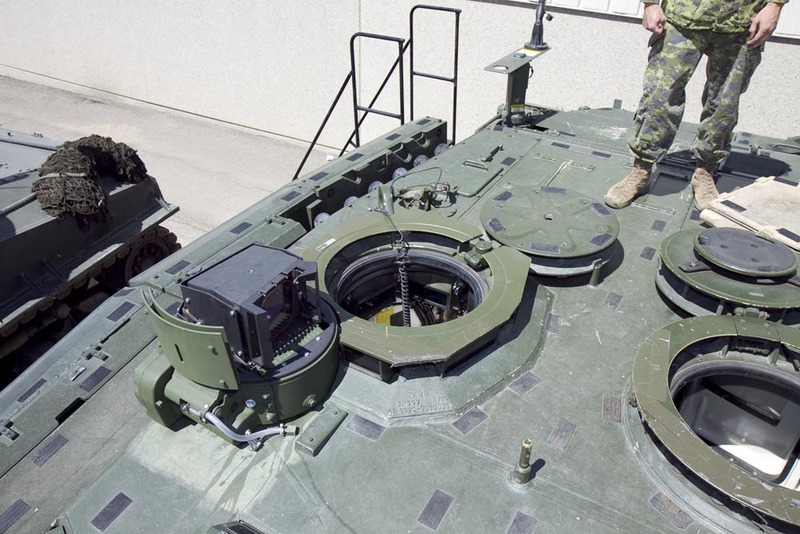 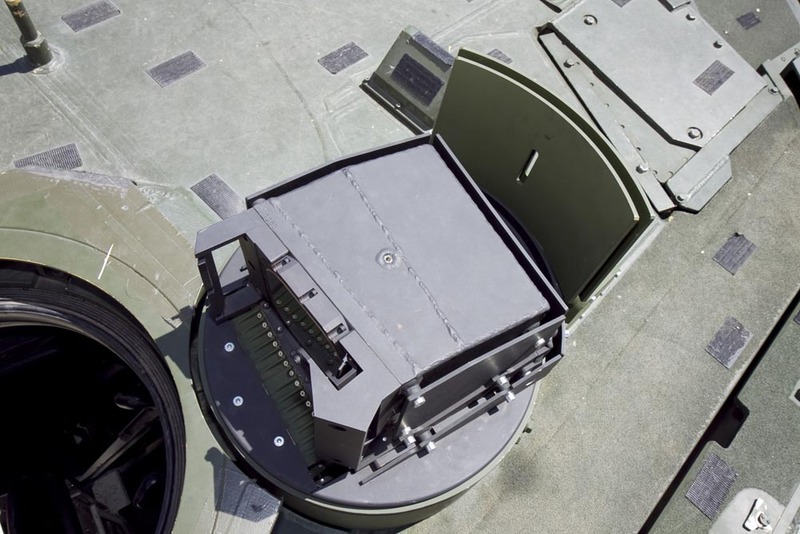 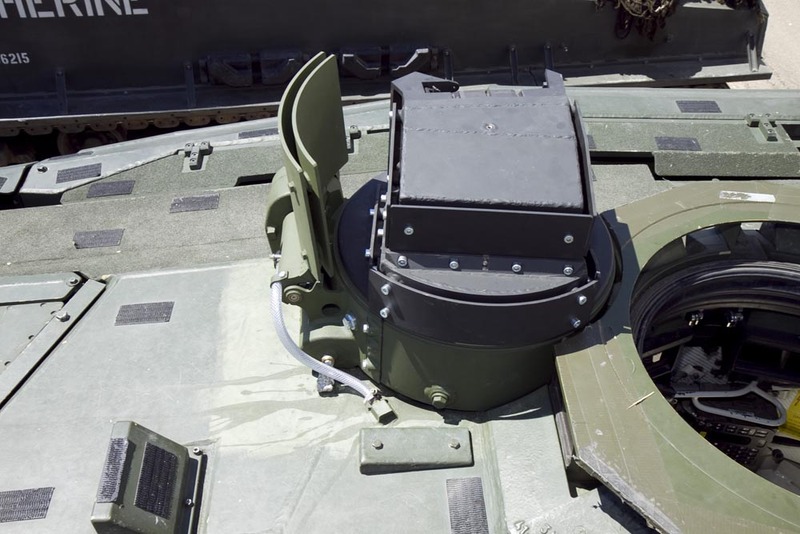 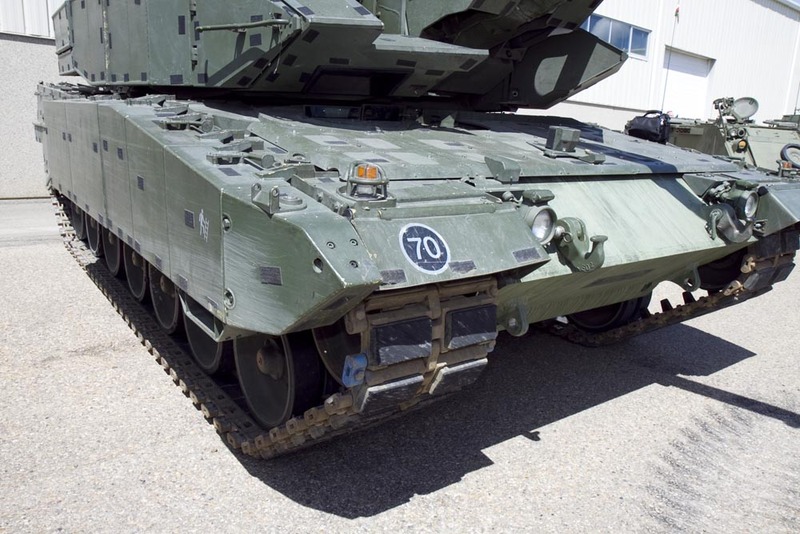 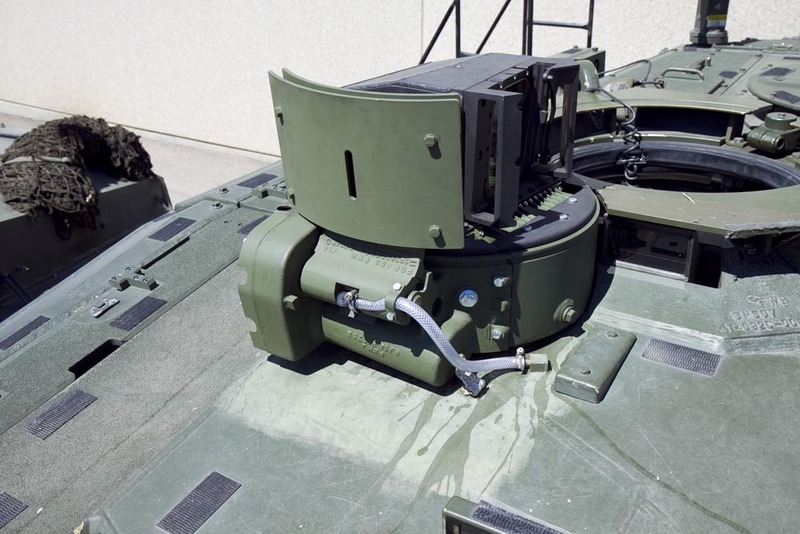 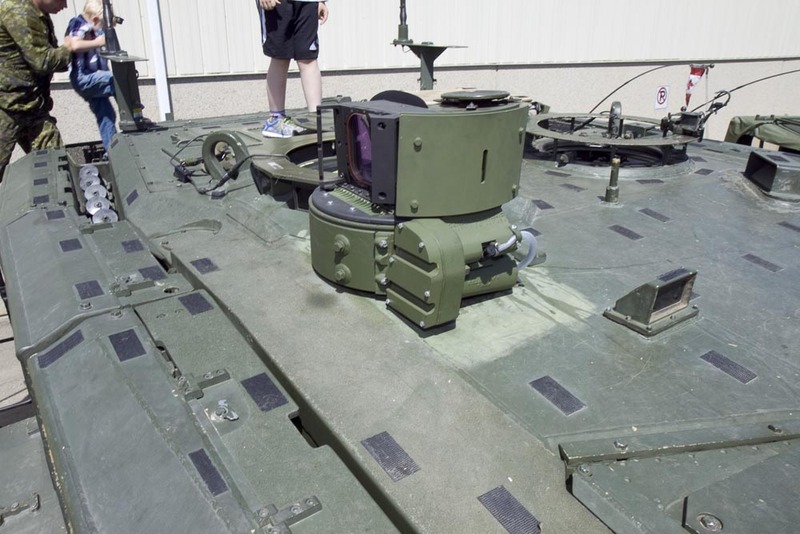 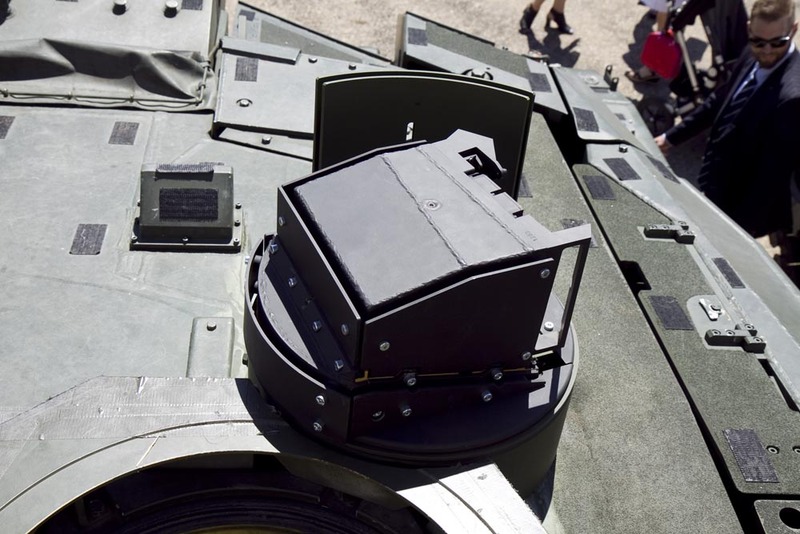 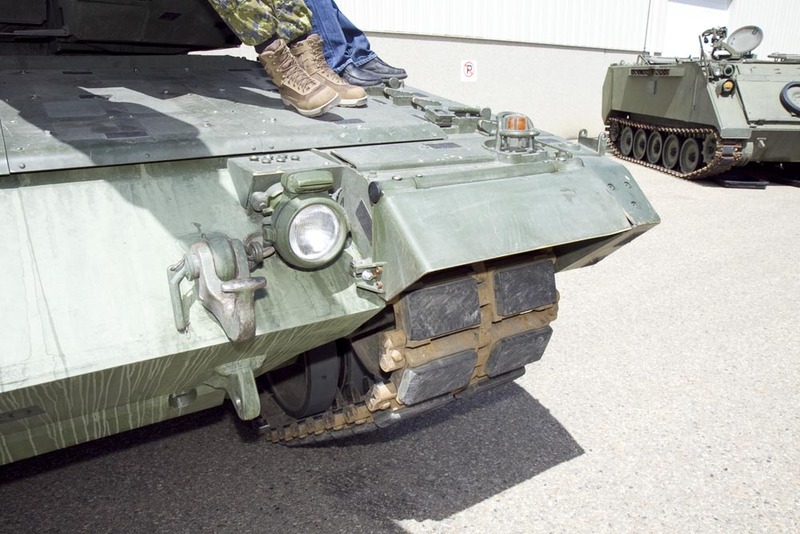 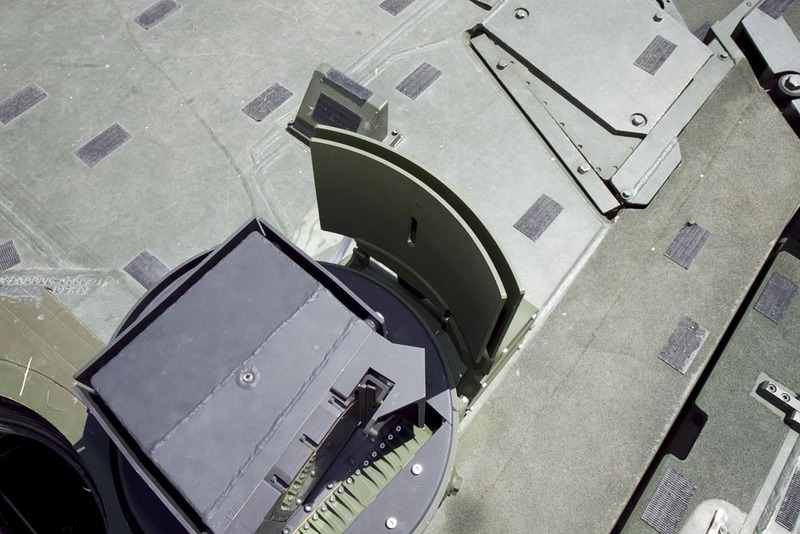 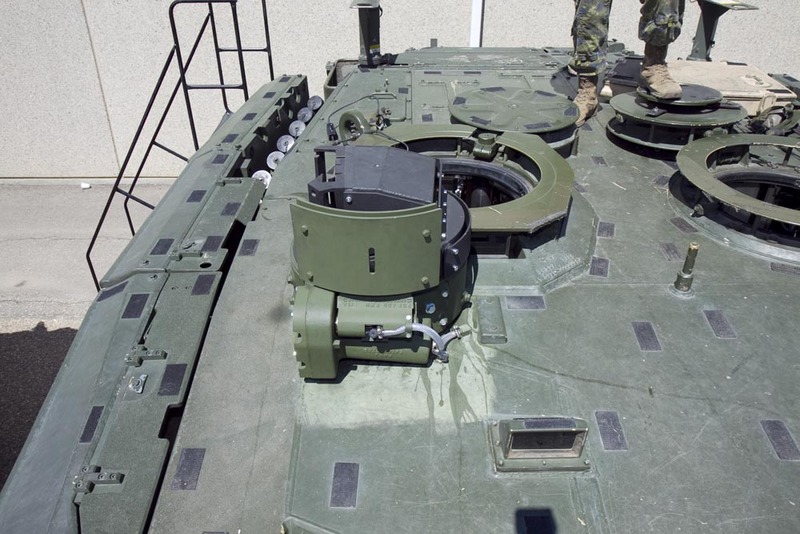 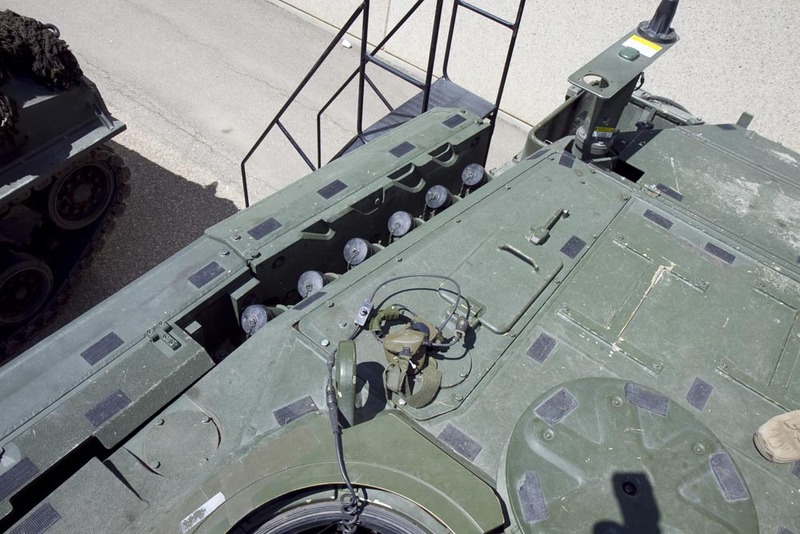 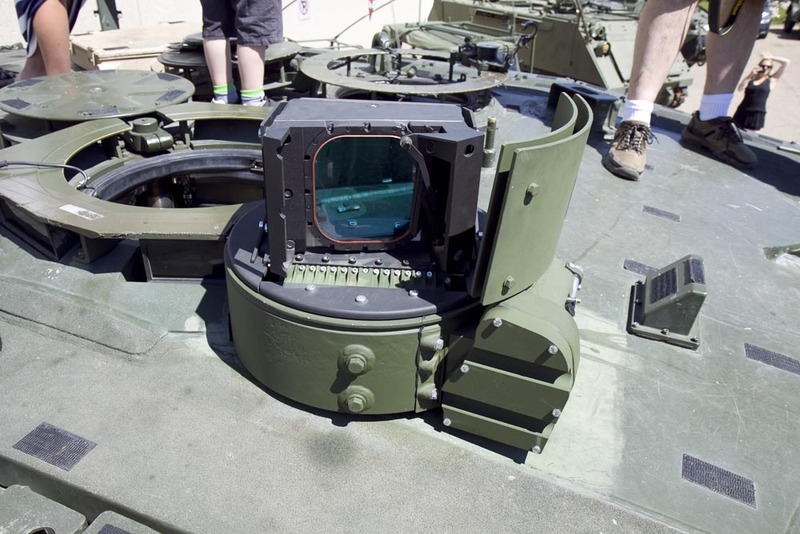 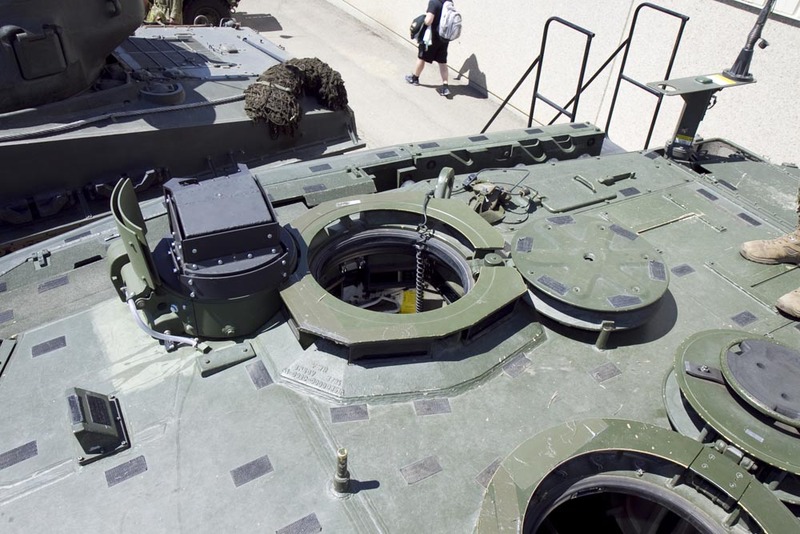 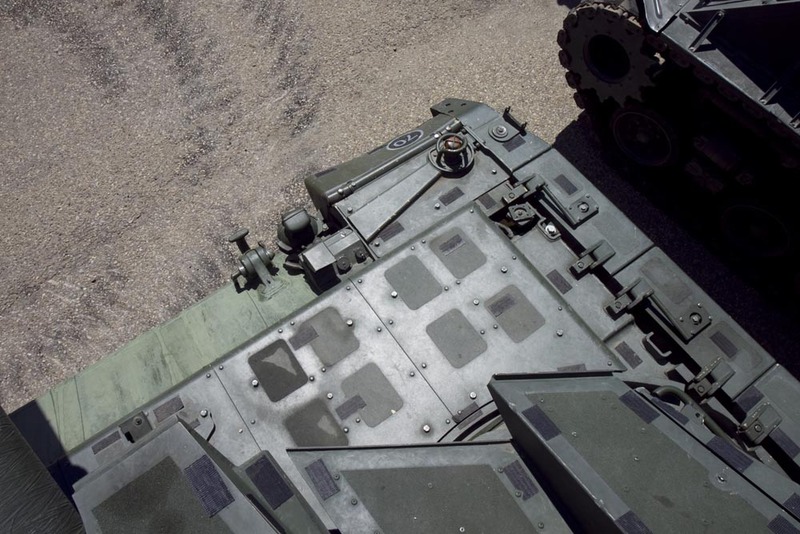 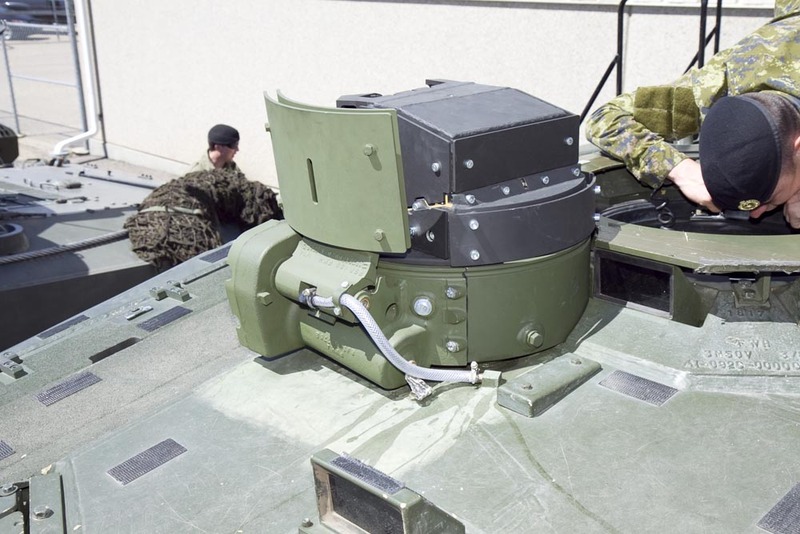 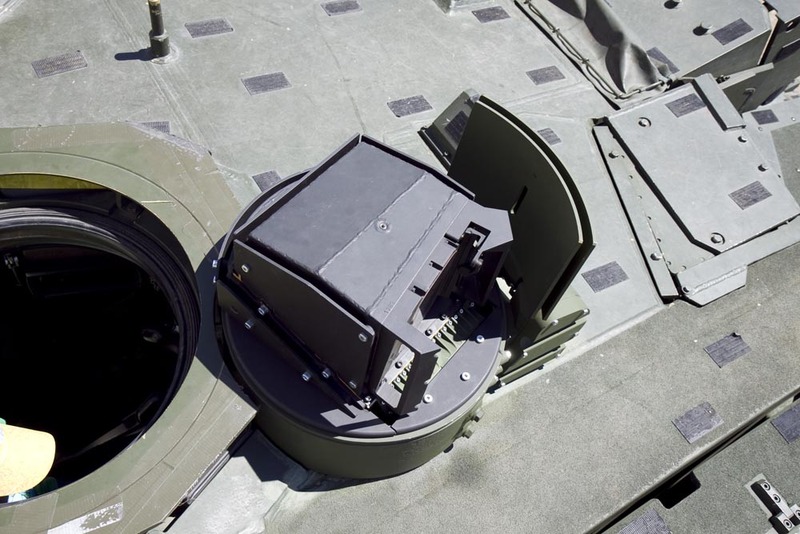 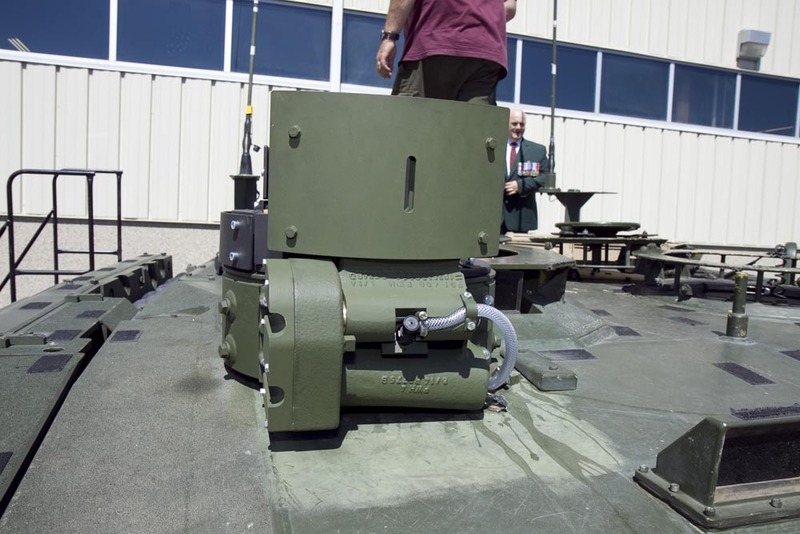 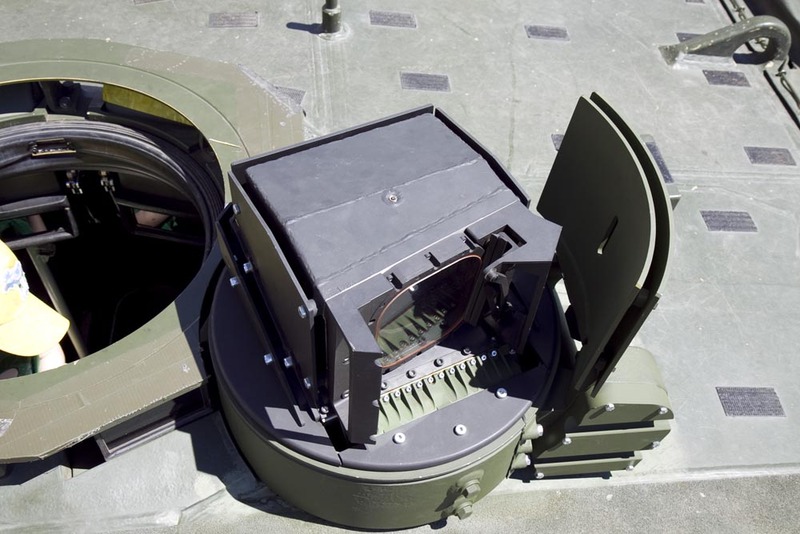 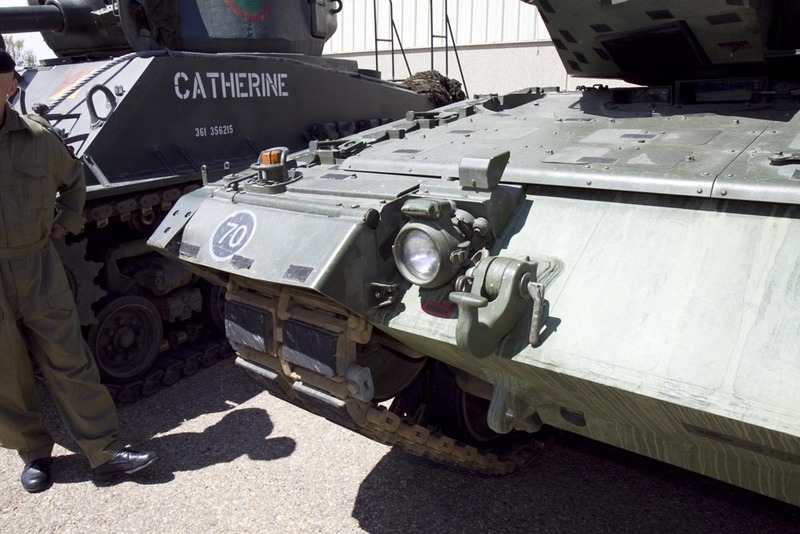 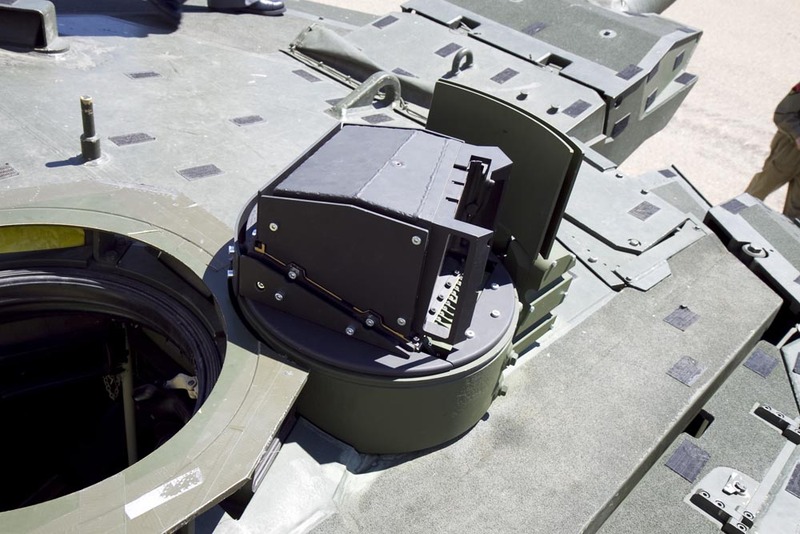 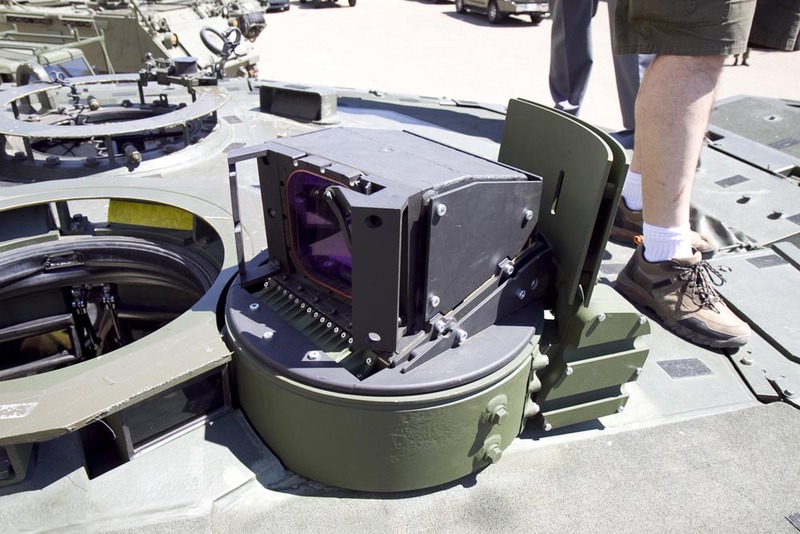 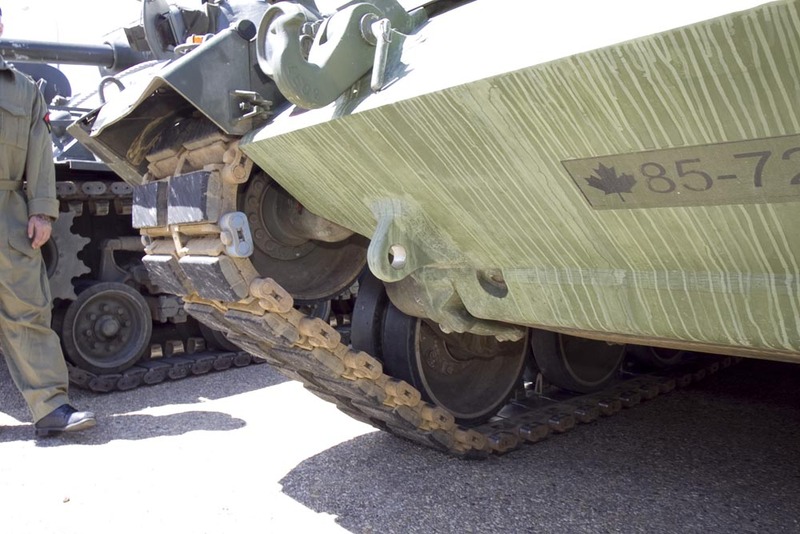 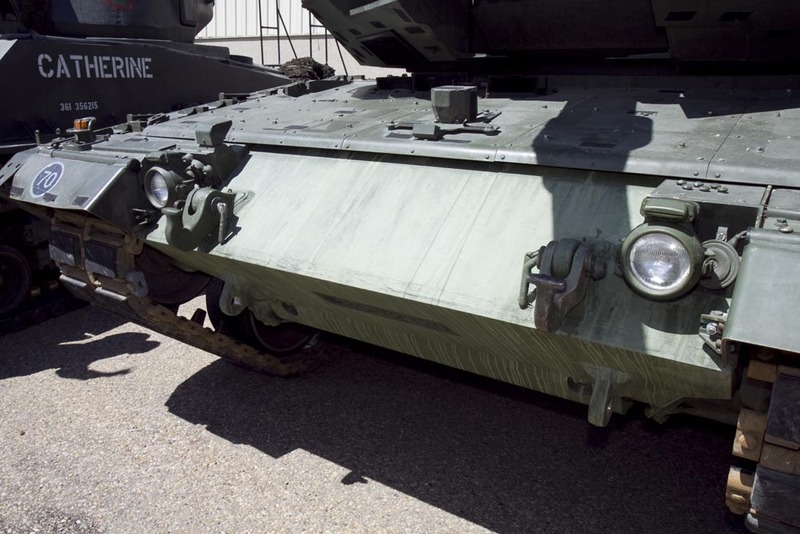 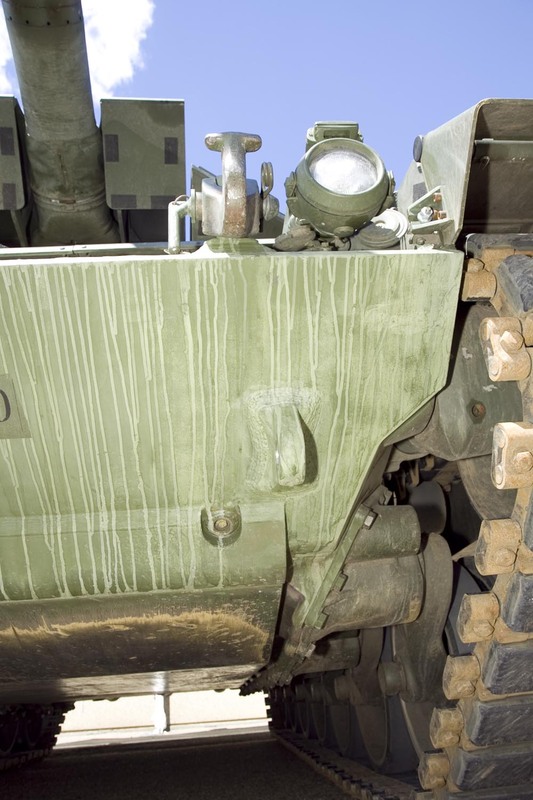 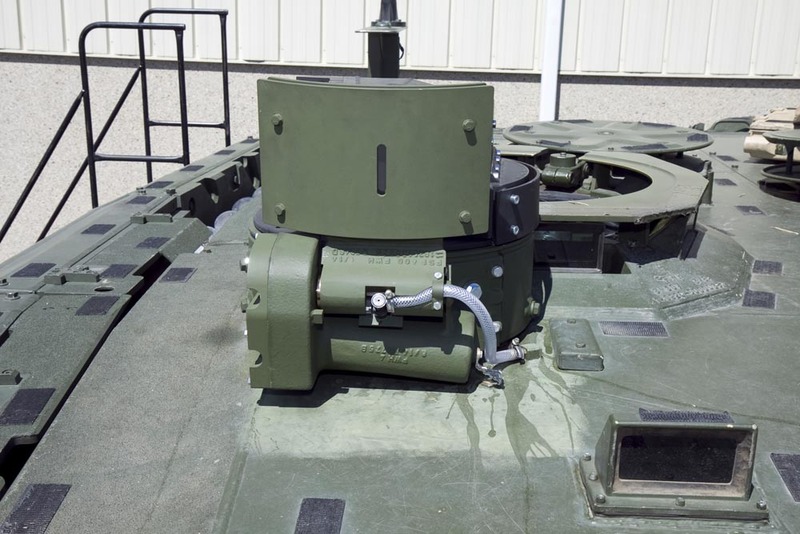 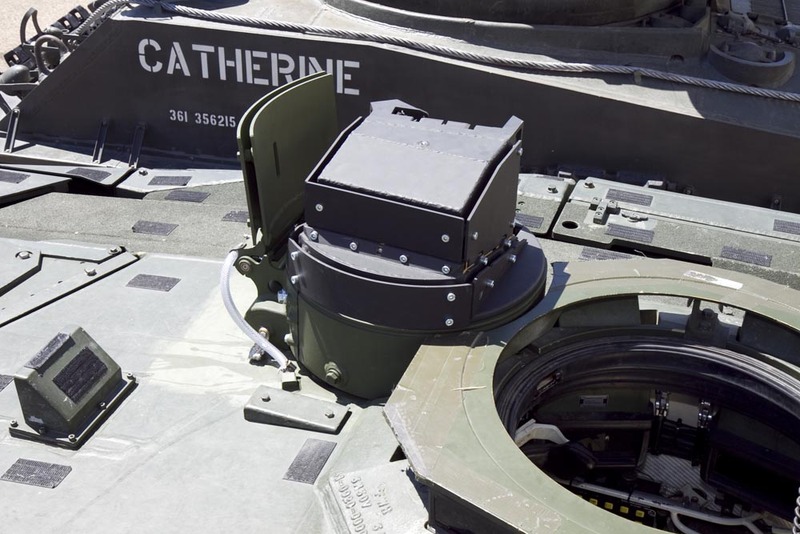 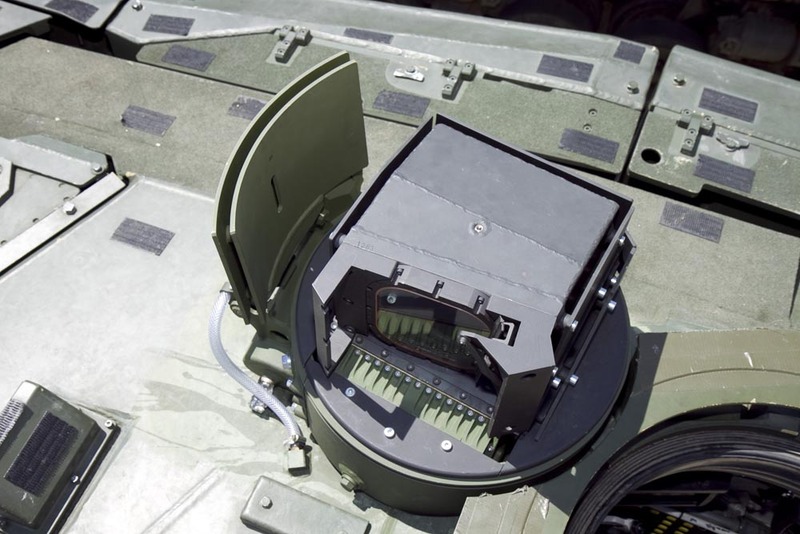 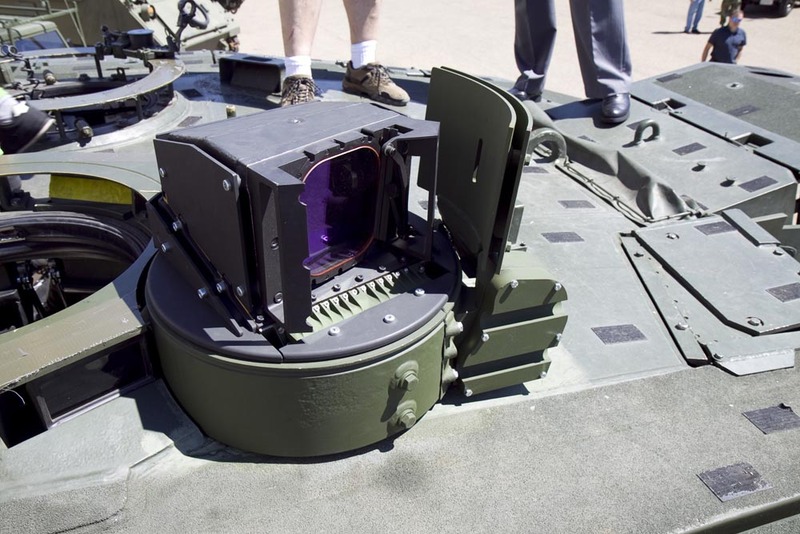 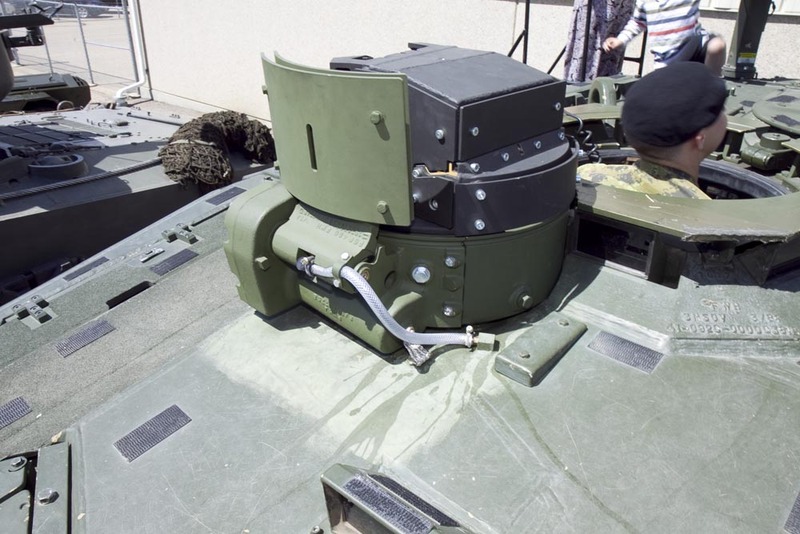 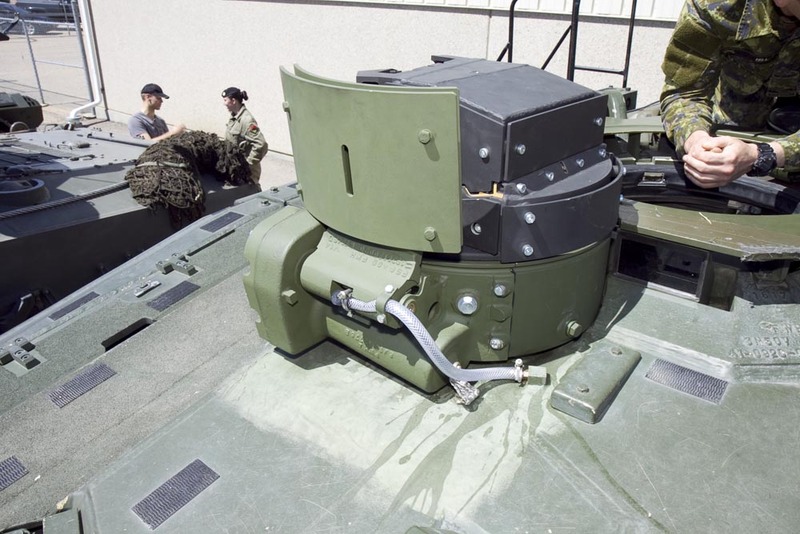 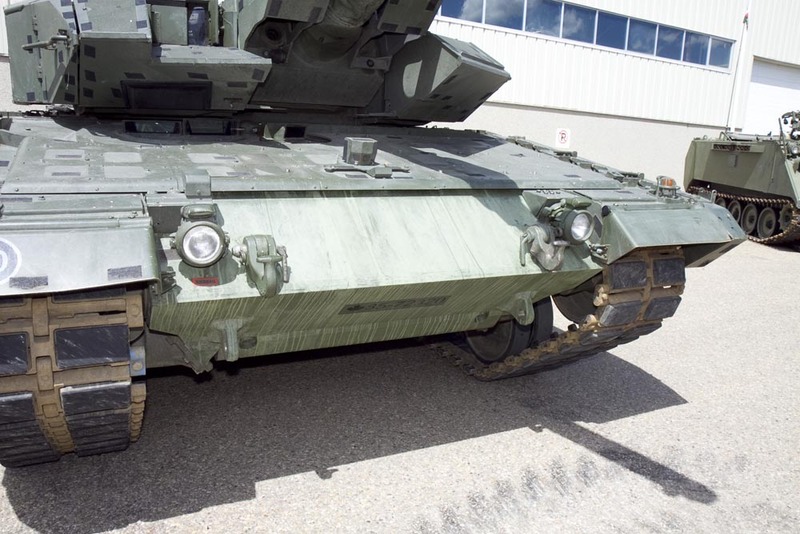 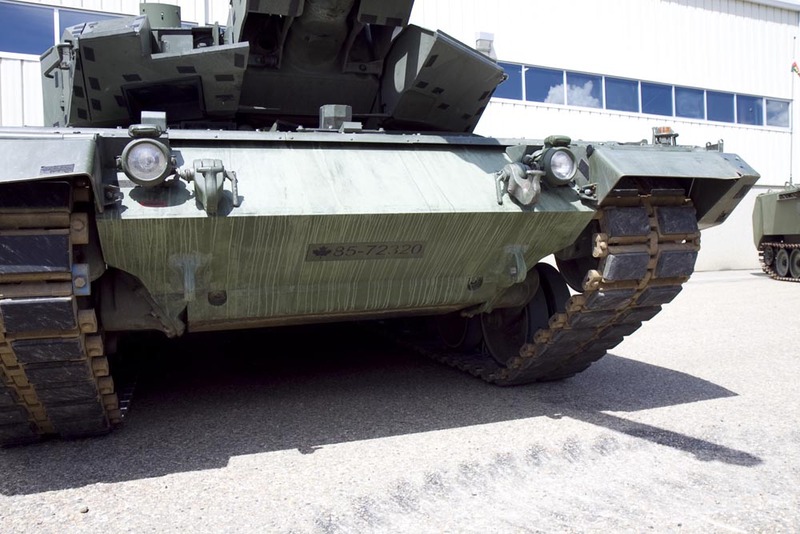 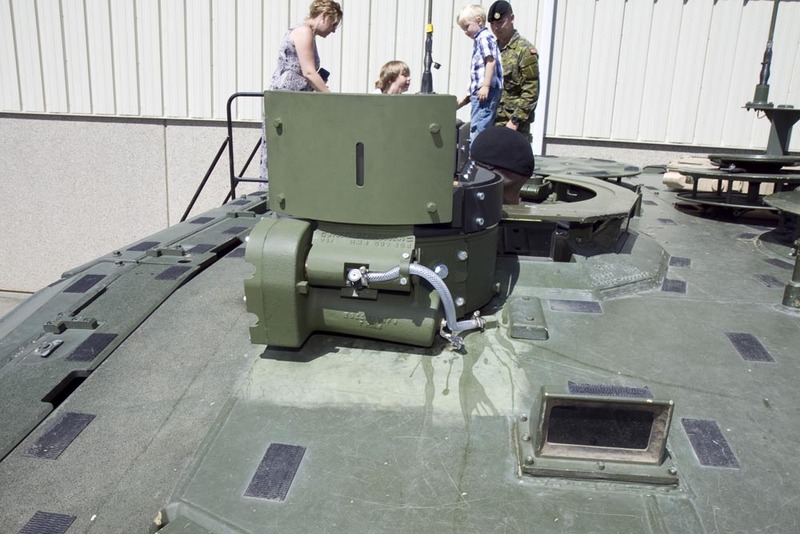 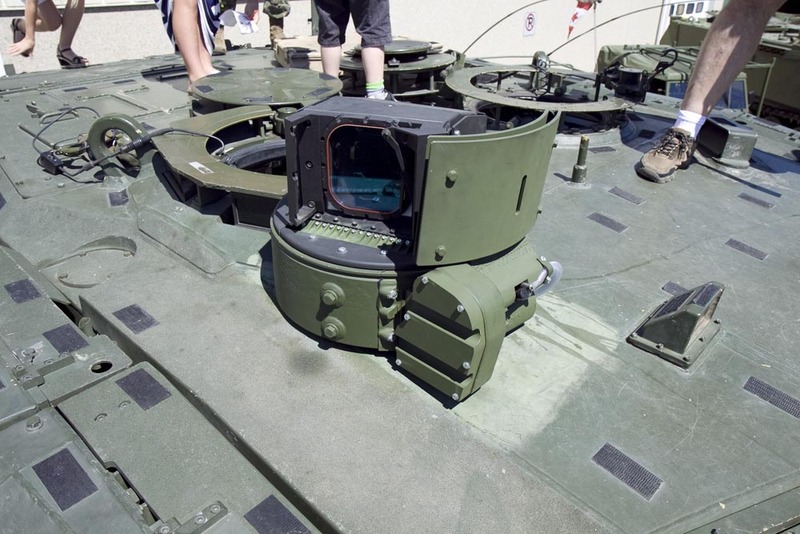 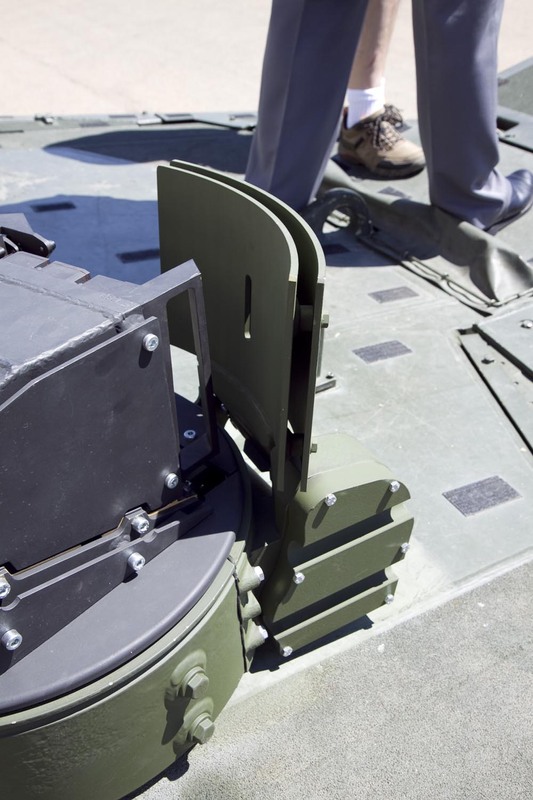 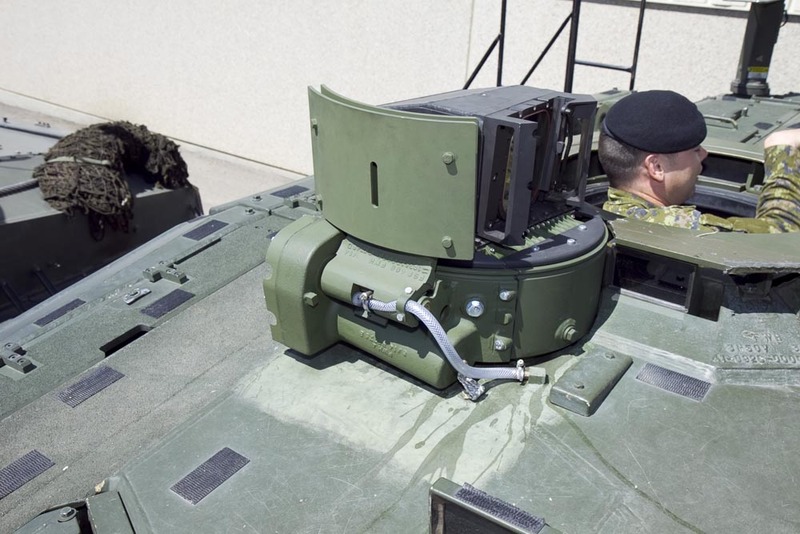 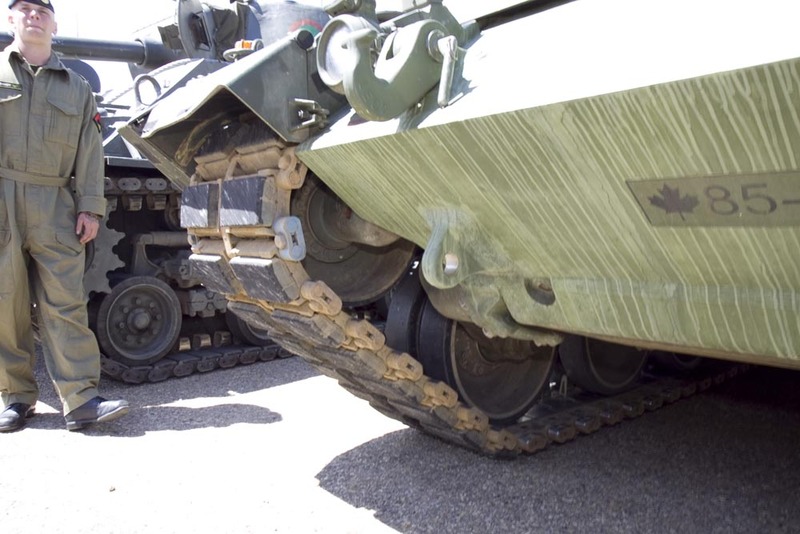 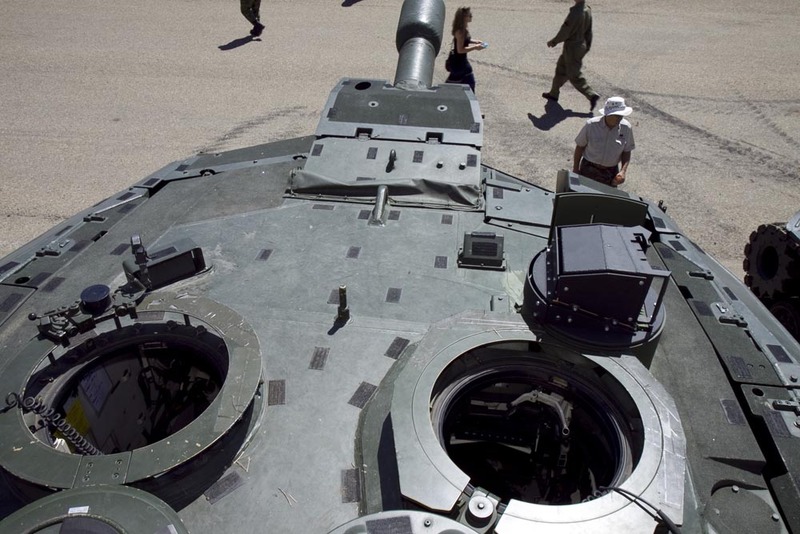 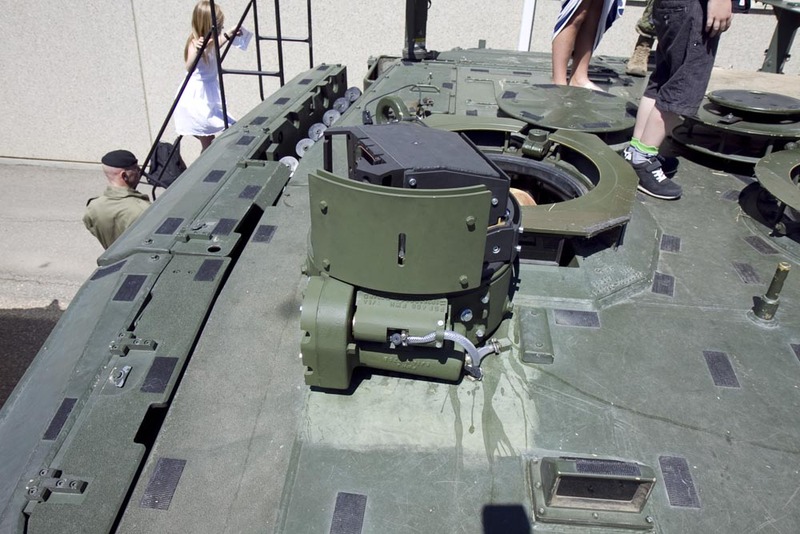 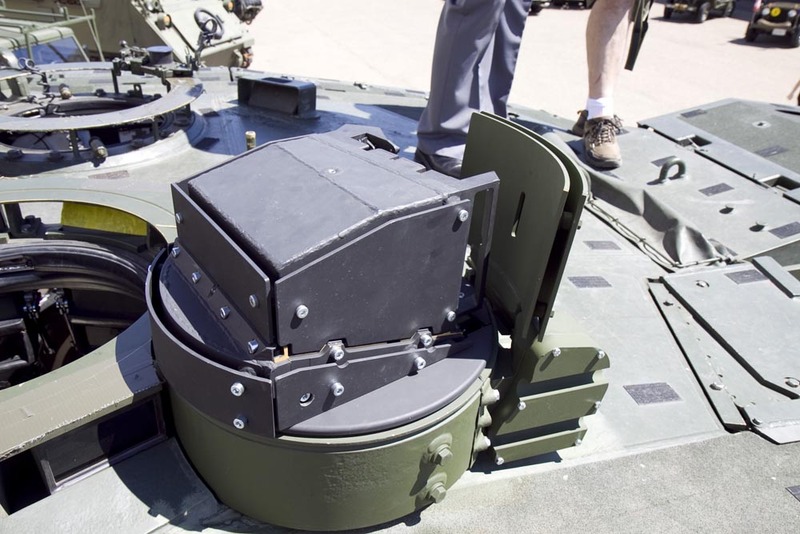 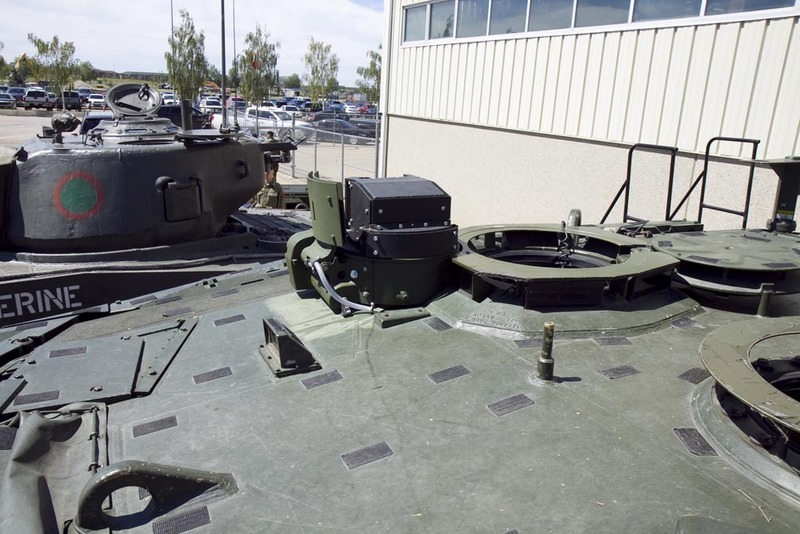 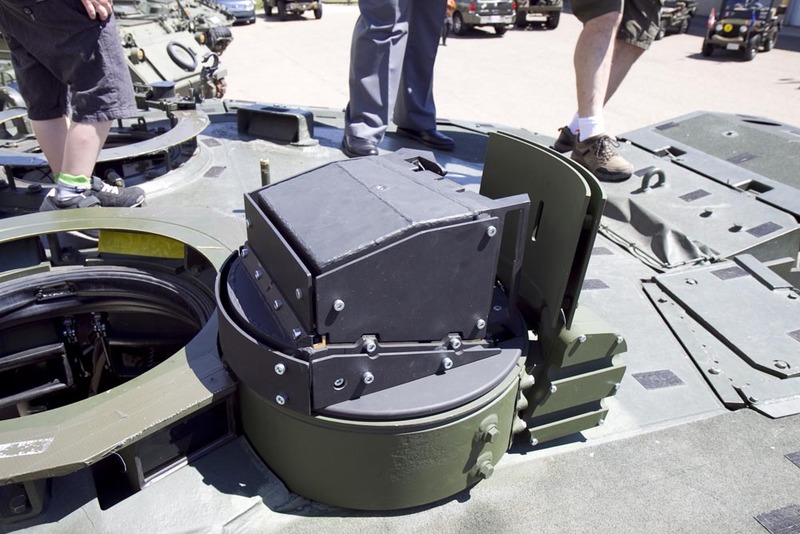 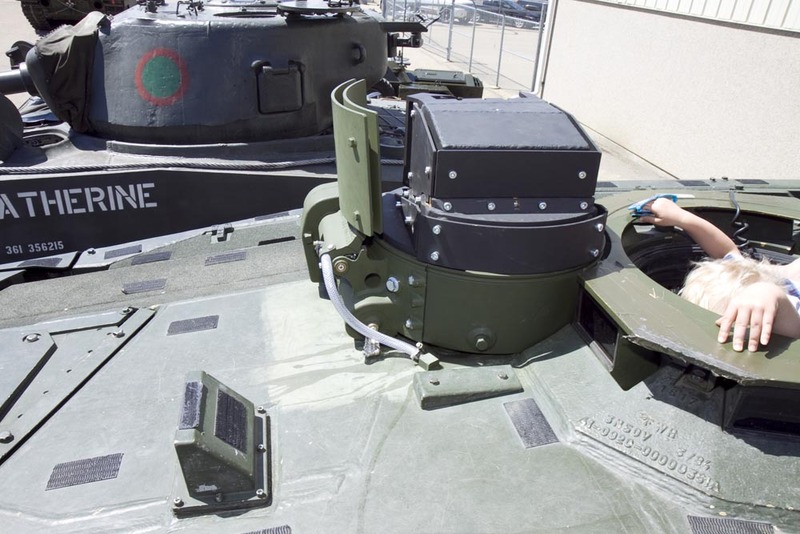 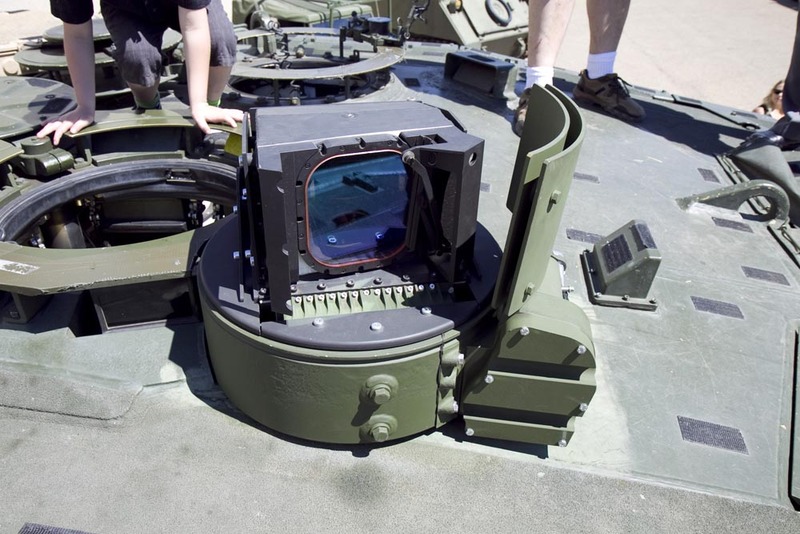 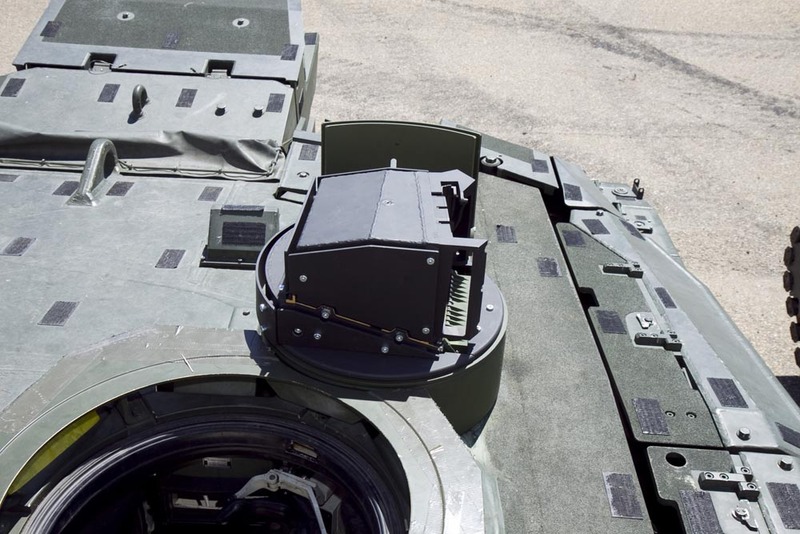 It is worth noting that the 2A4M CAN featured in the walk-around photos in Trackpad Publishing's Canadian Leopard 2A4M CAN had just started the R17A4 re-fit process with the area in front of the commander's hatch being altered to accept the new sight. 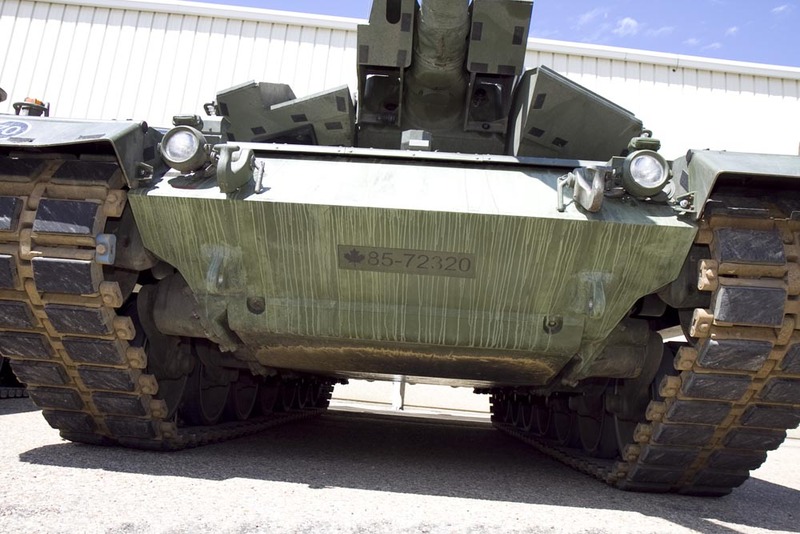 The vehicle depicted here also featured the (then) newly re-worked upper glacius plate. 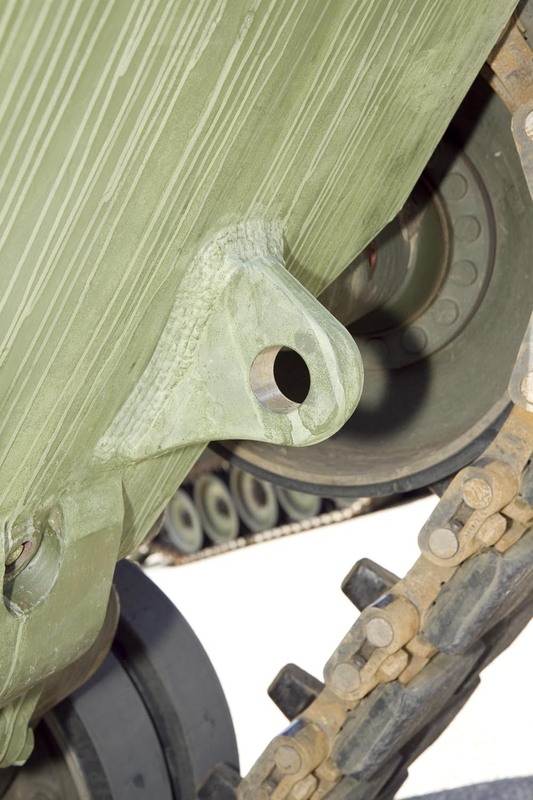 All of the track and snow grouser mounts had been removed and the towing eyes were moved to the lower glacius plate. 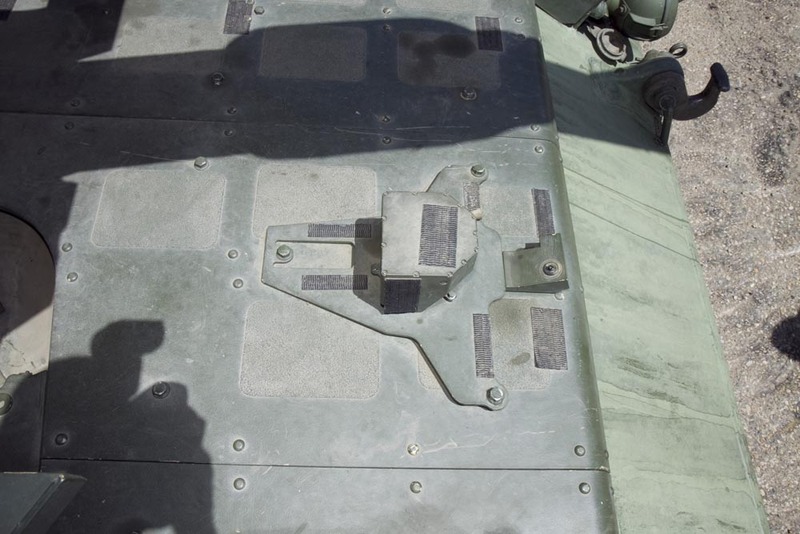 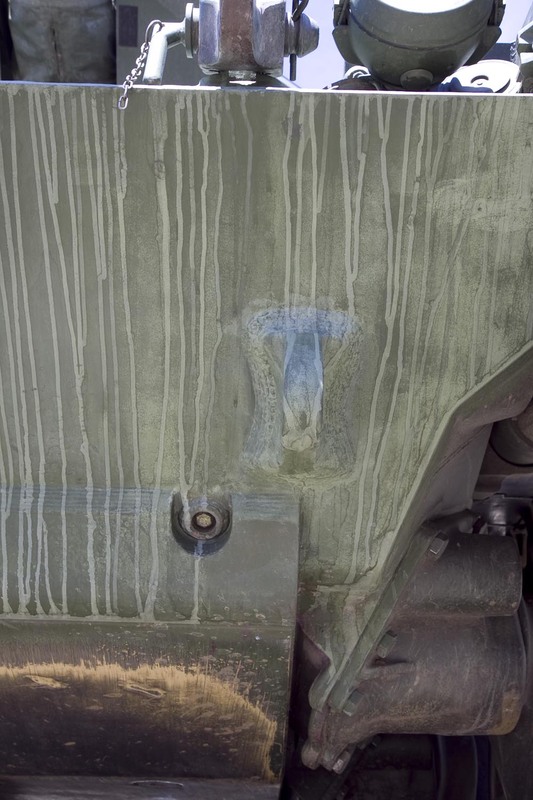 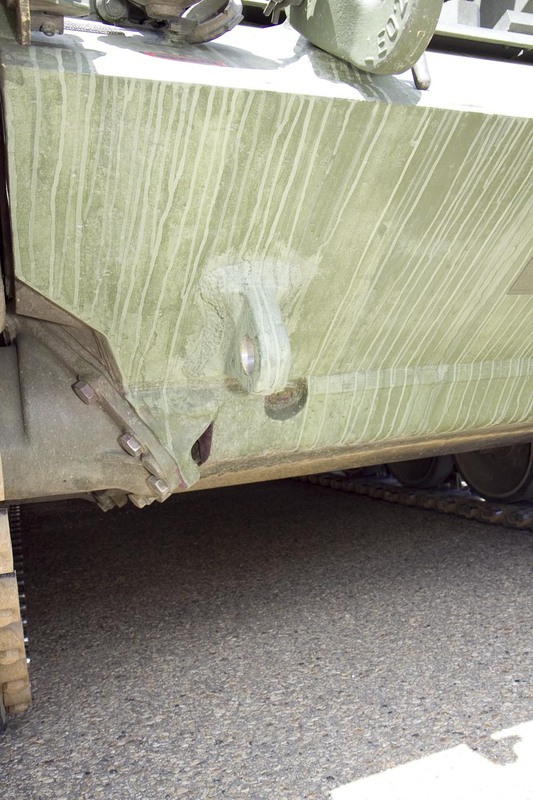 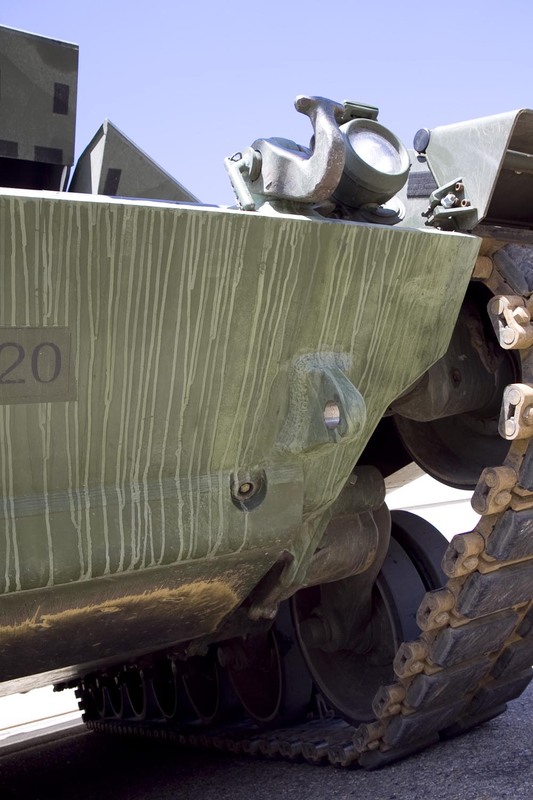 This modification was performed to facilitate the use of engineering implements on the 2A4M-CAN.